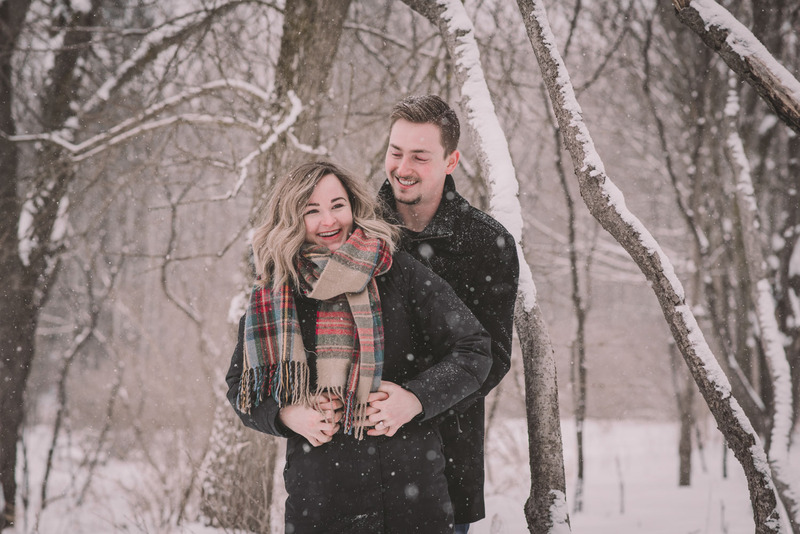 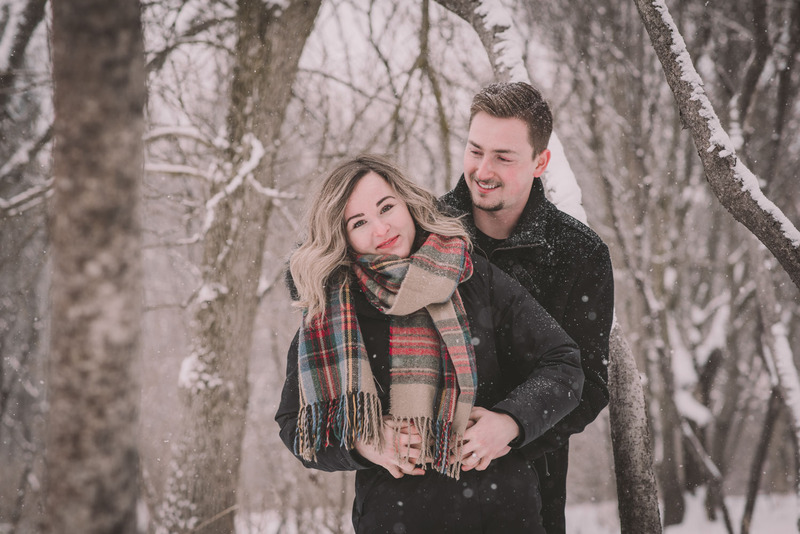 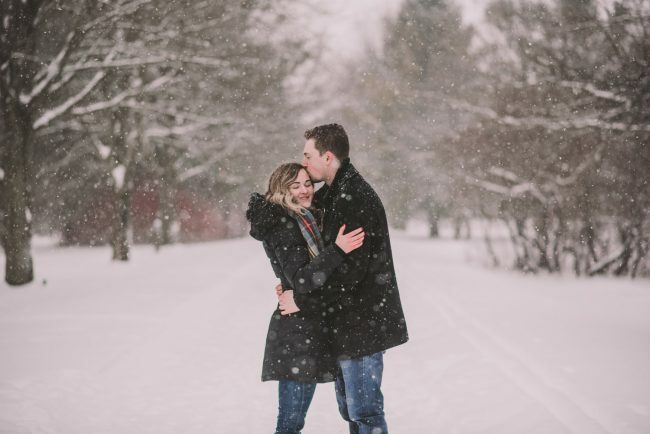 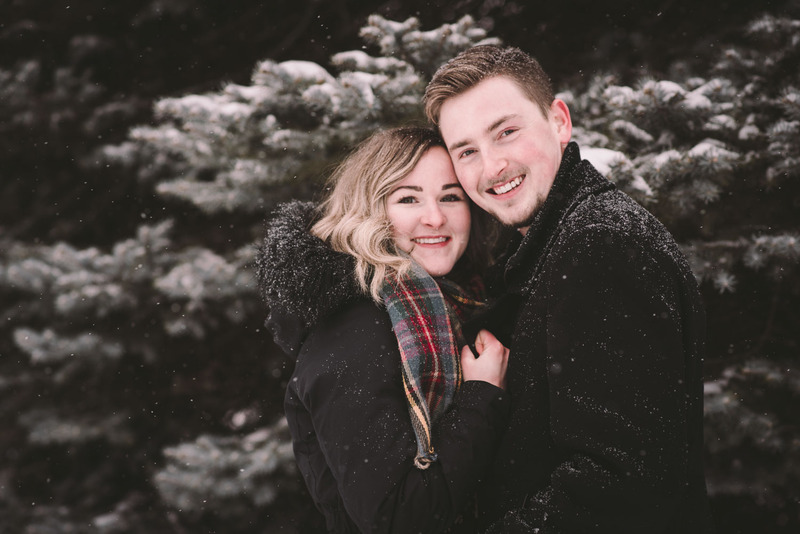 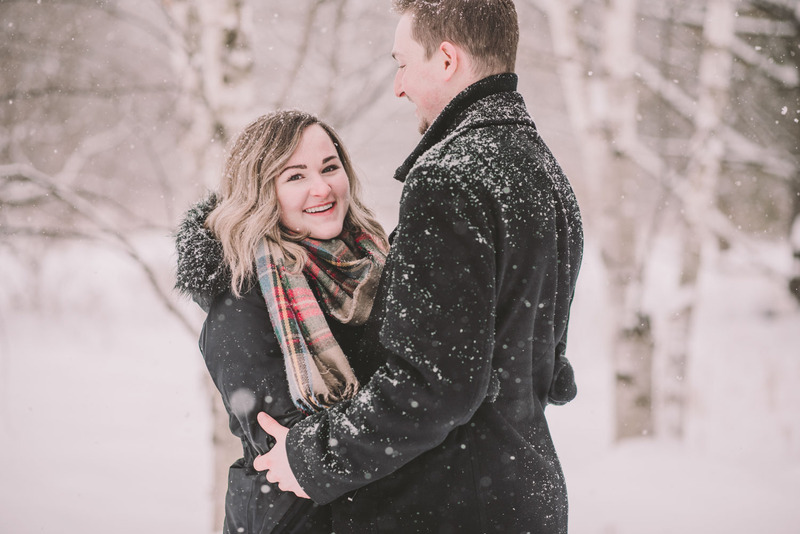 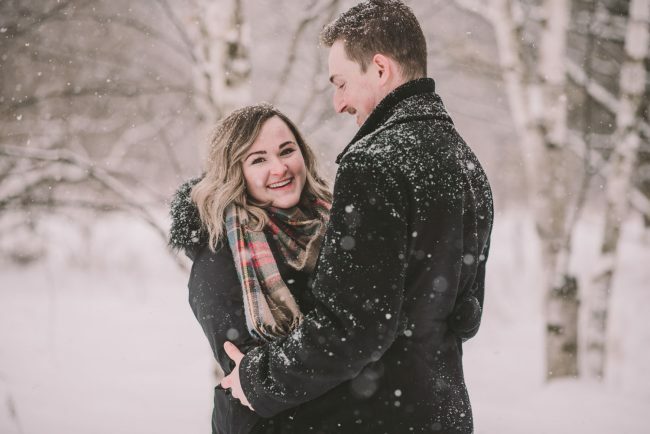 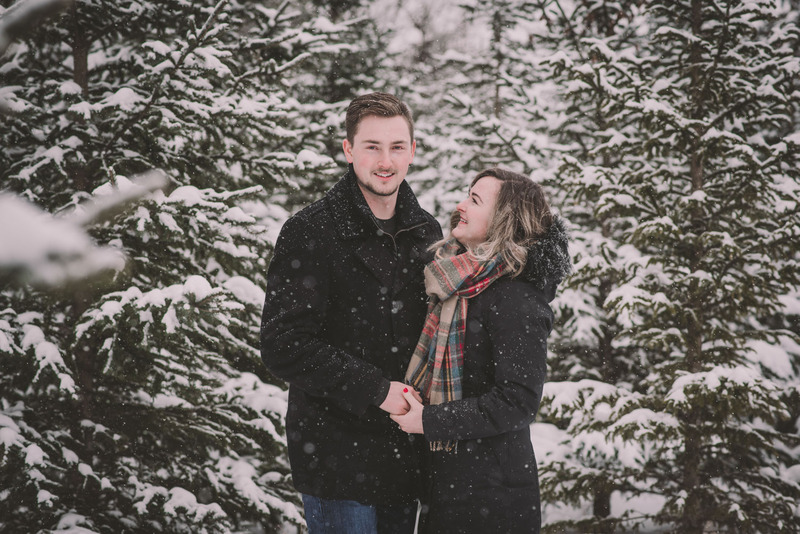 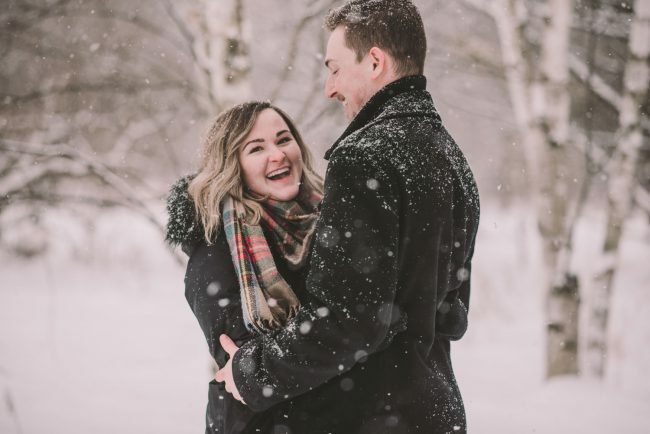 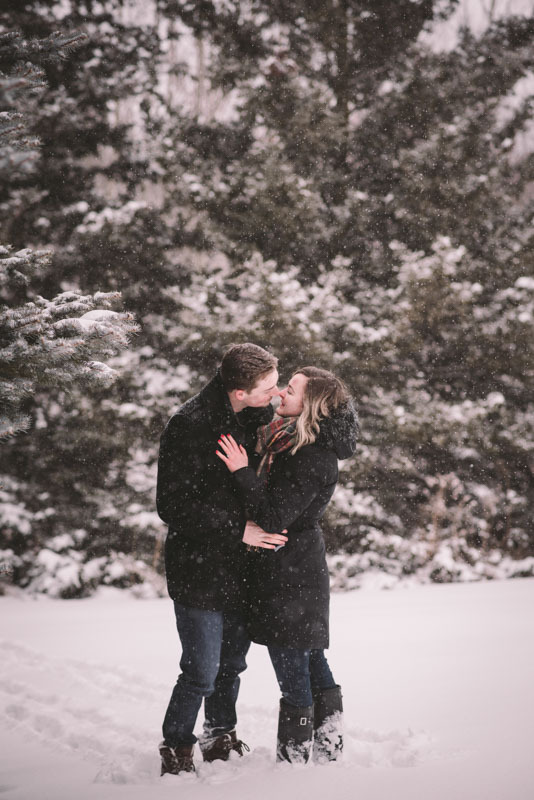 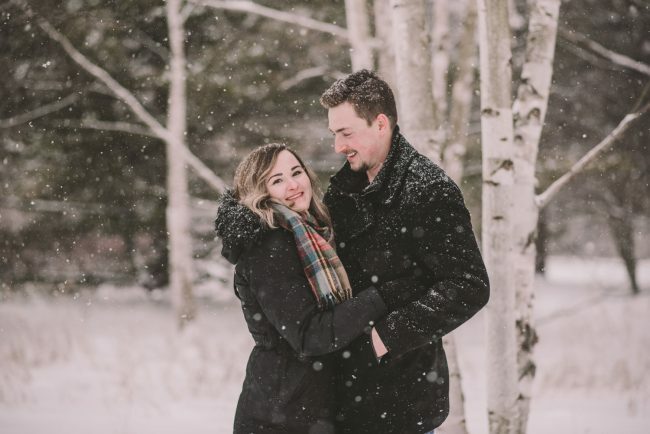 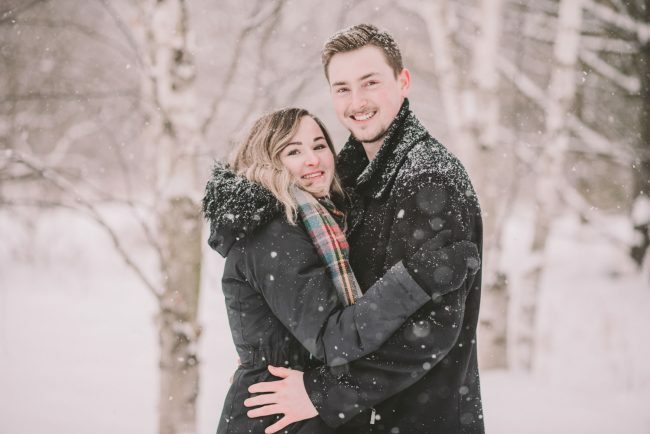 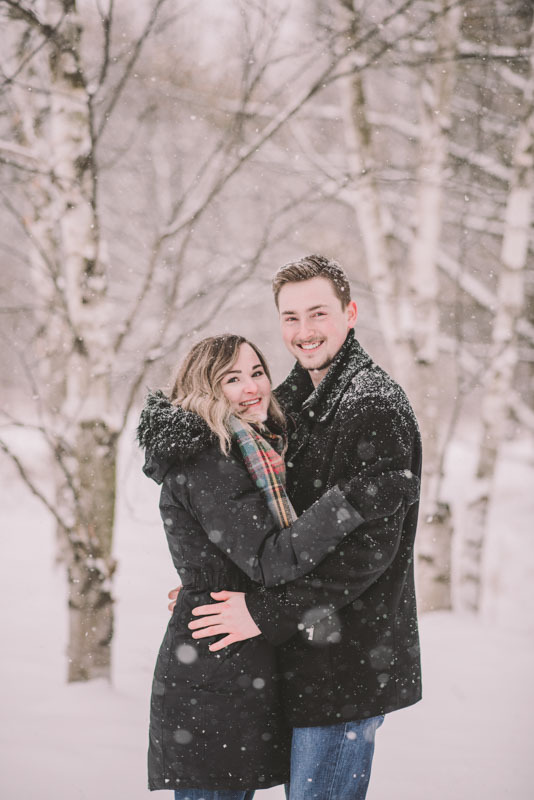 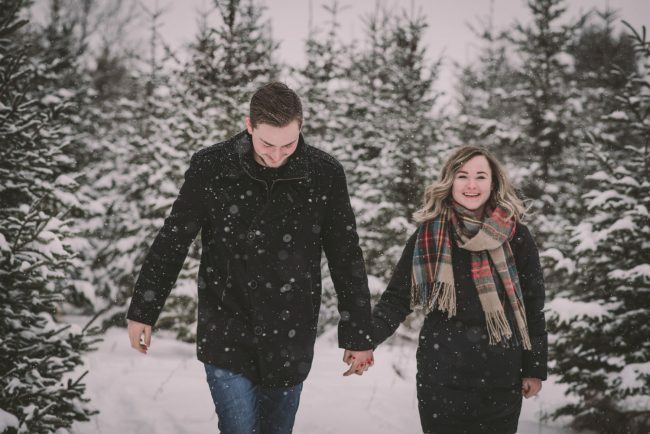 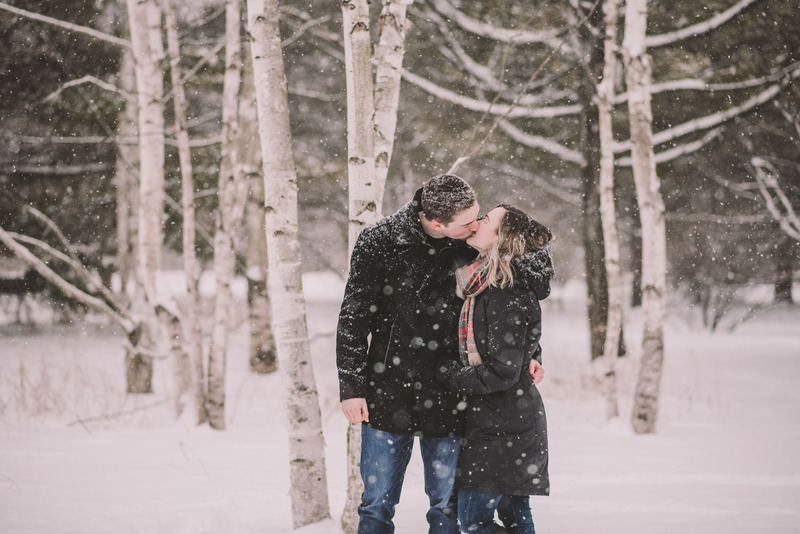 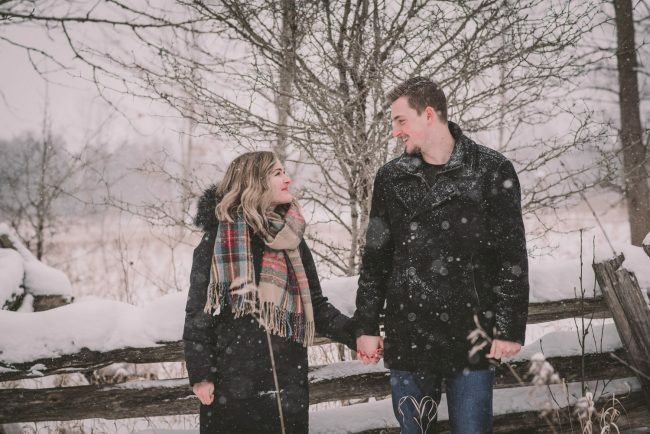 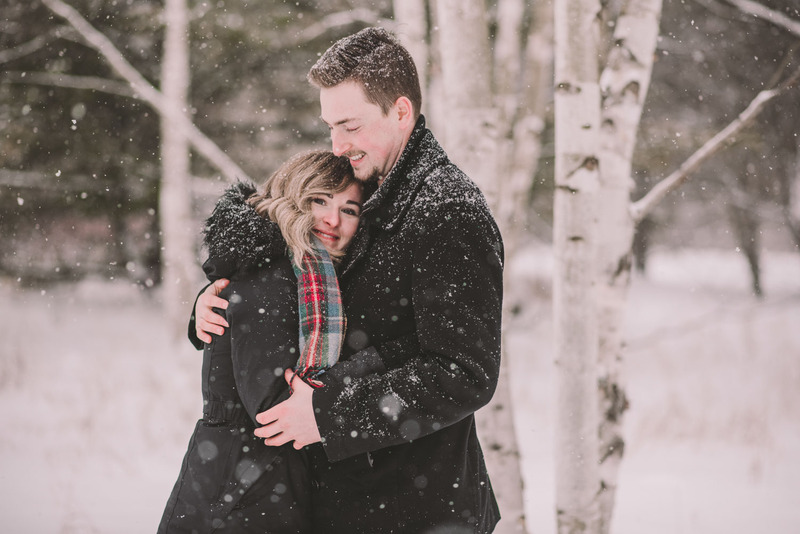 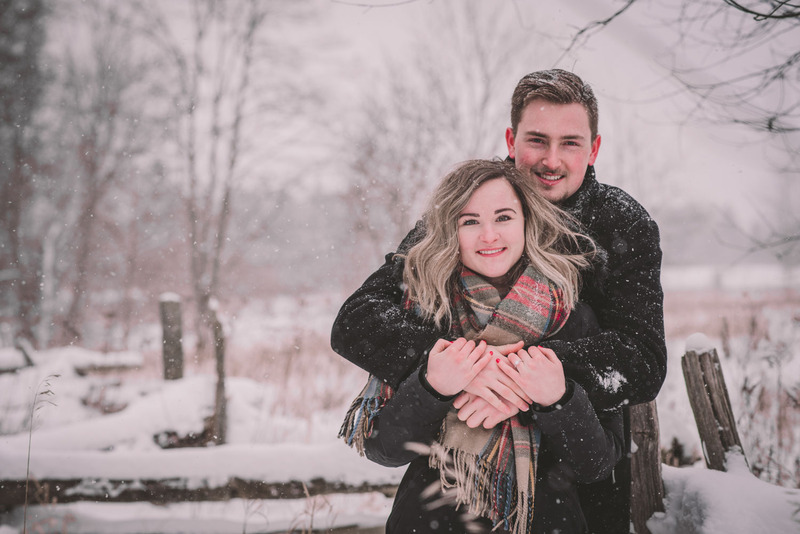 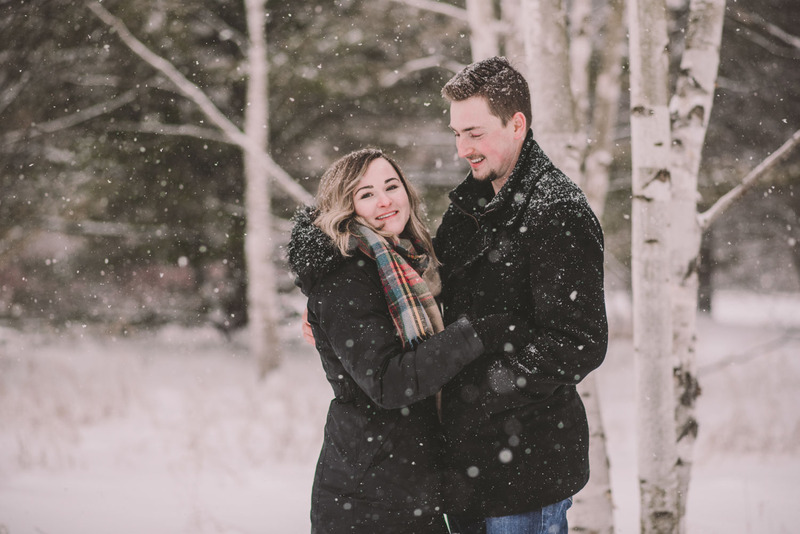 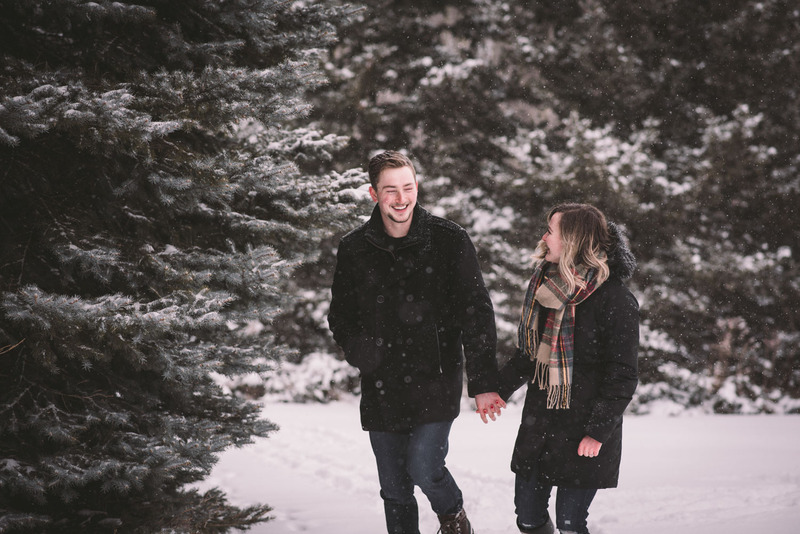 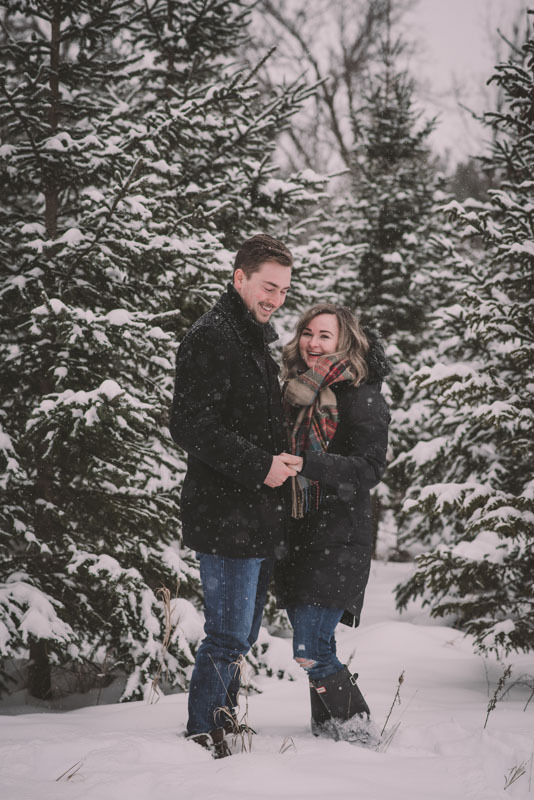 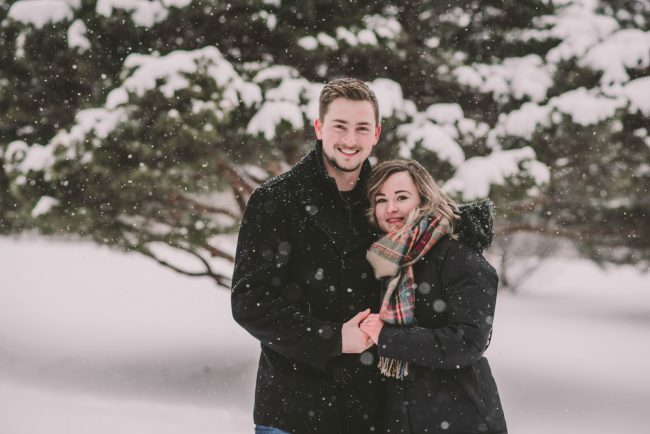 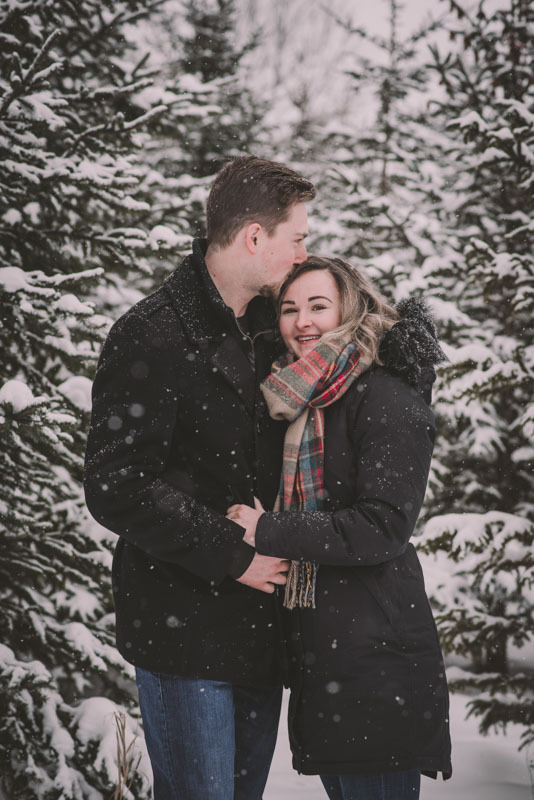 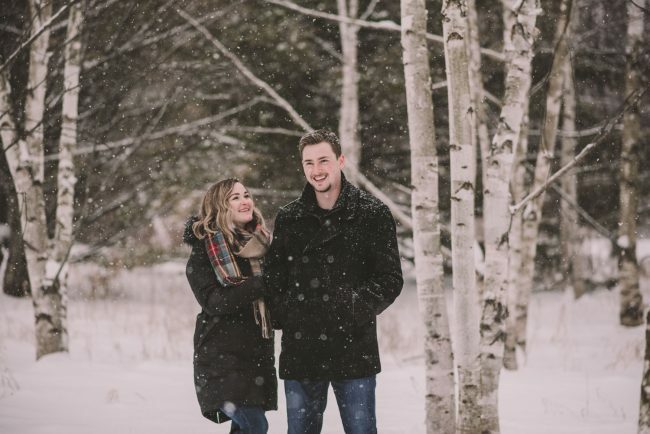 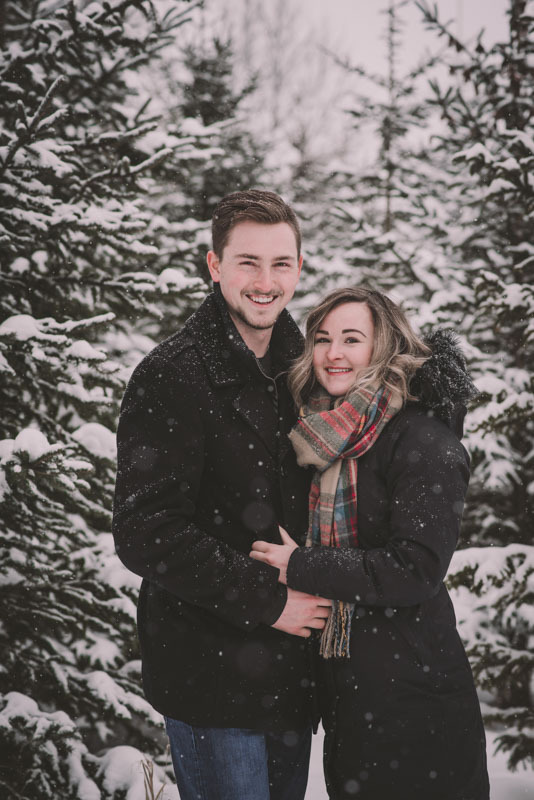 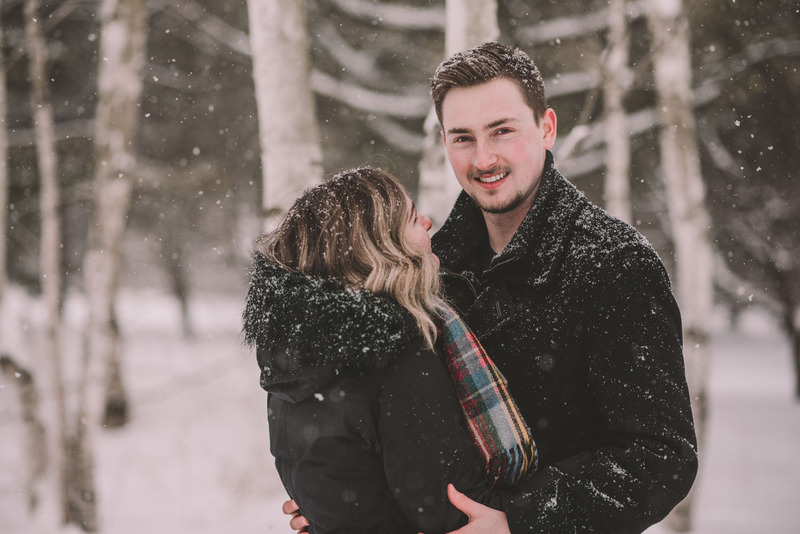 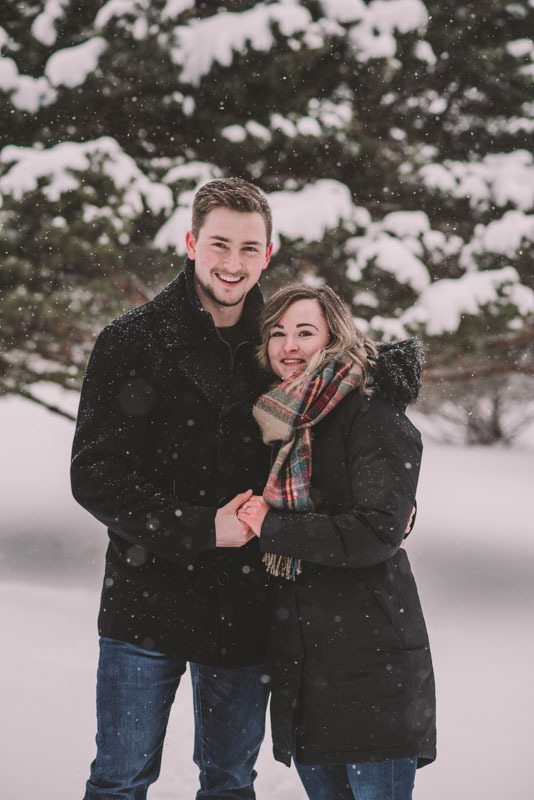 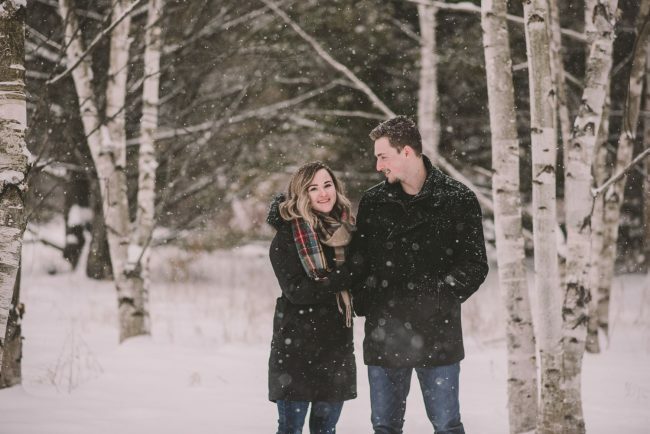 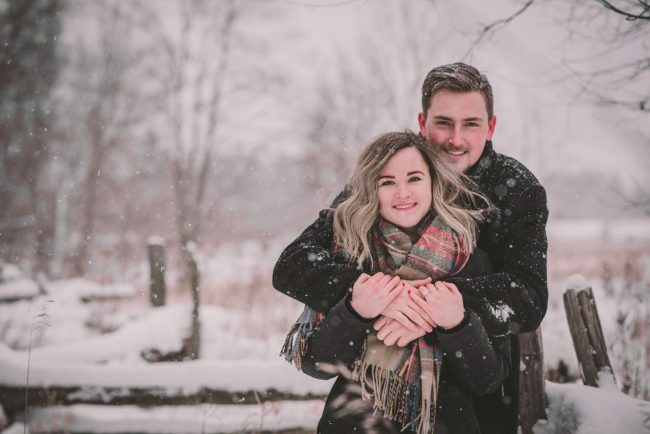 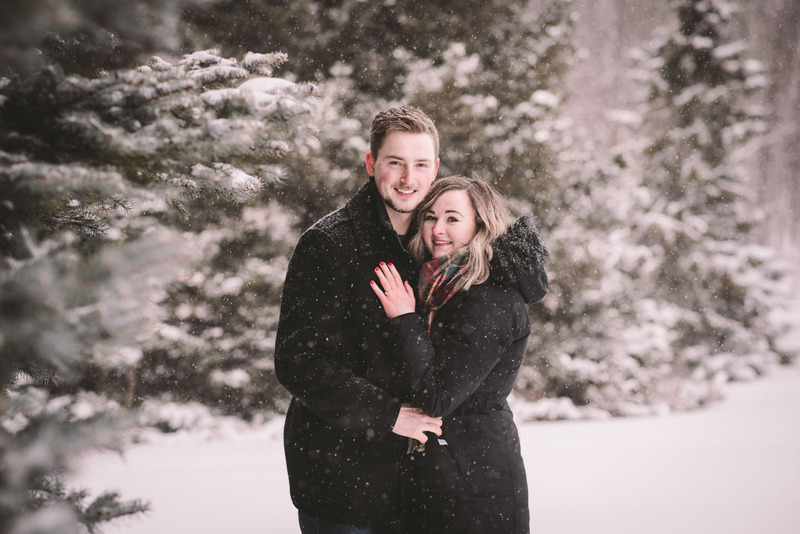 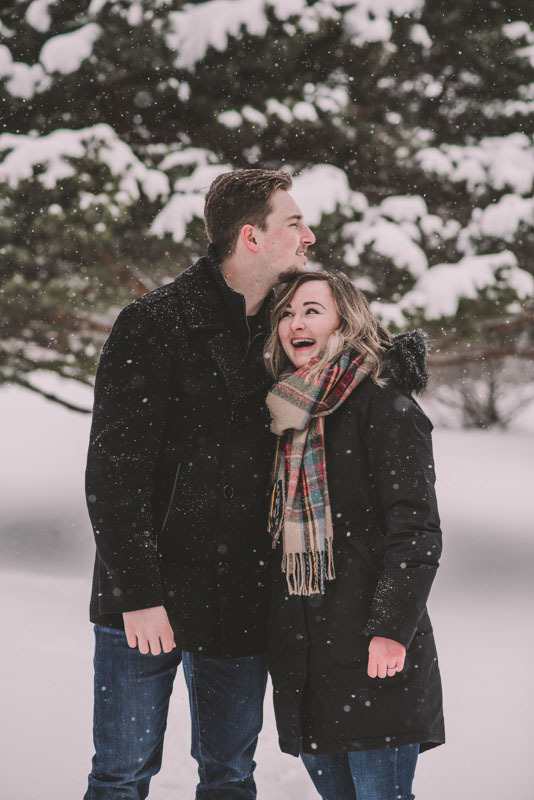 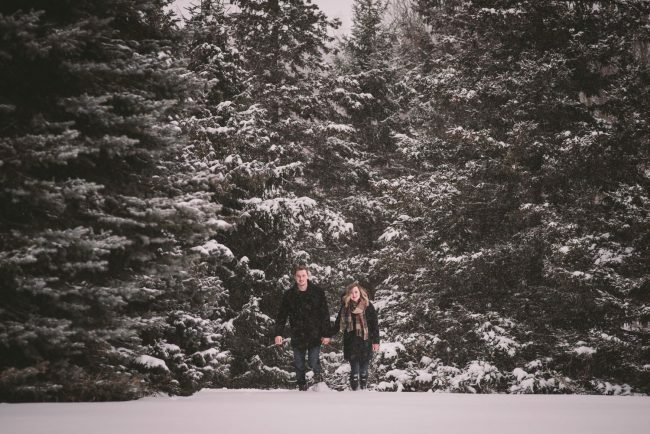 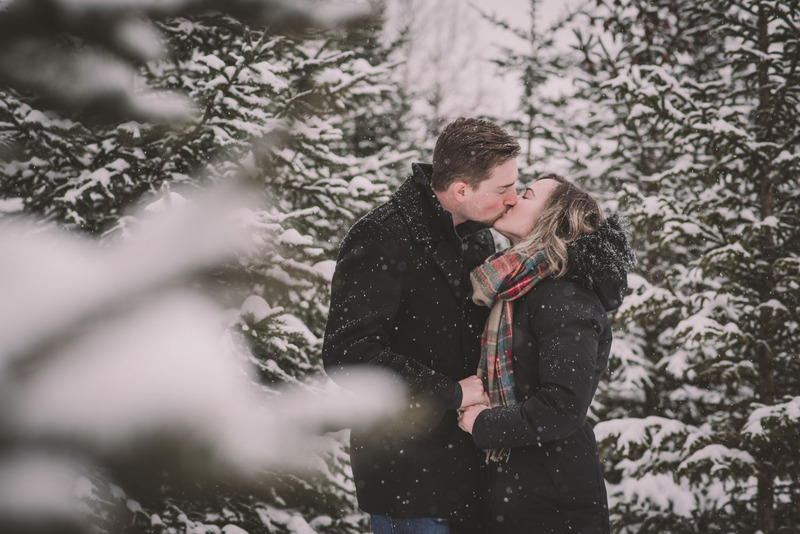 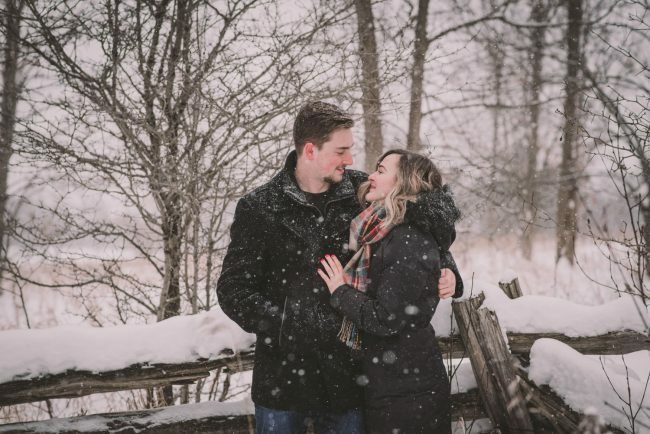 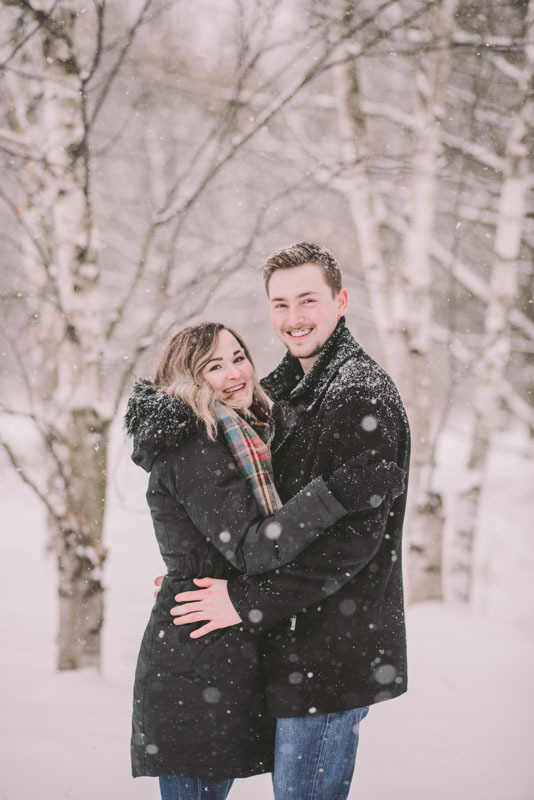 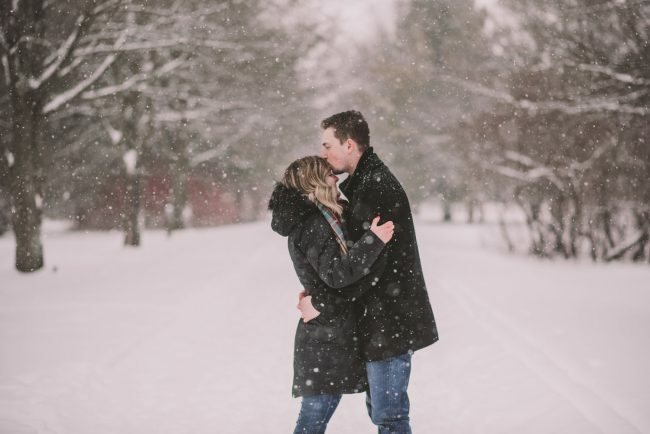 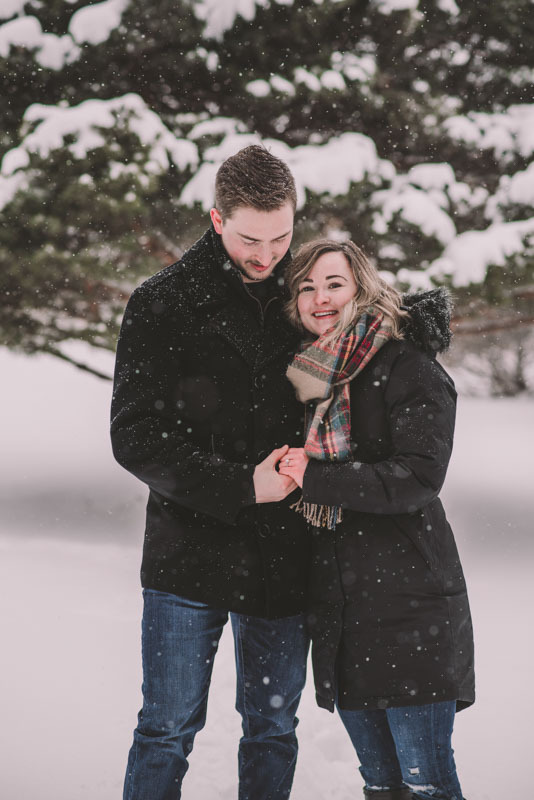 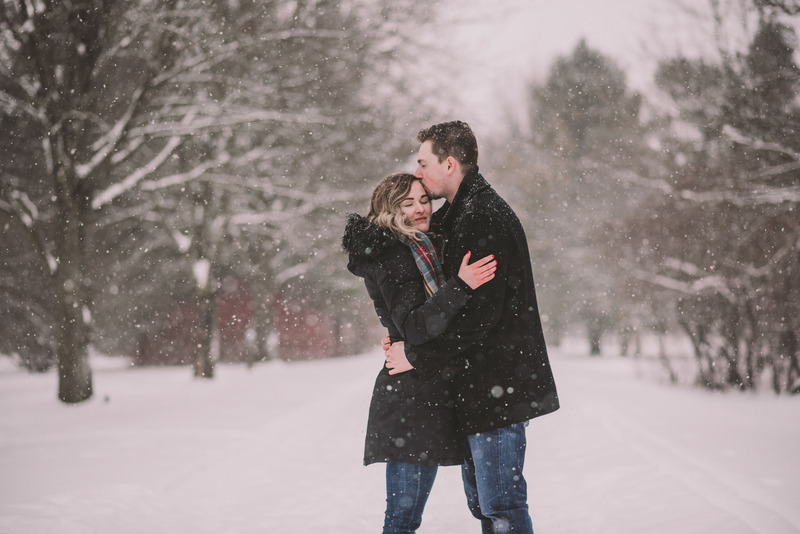 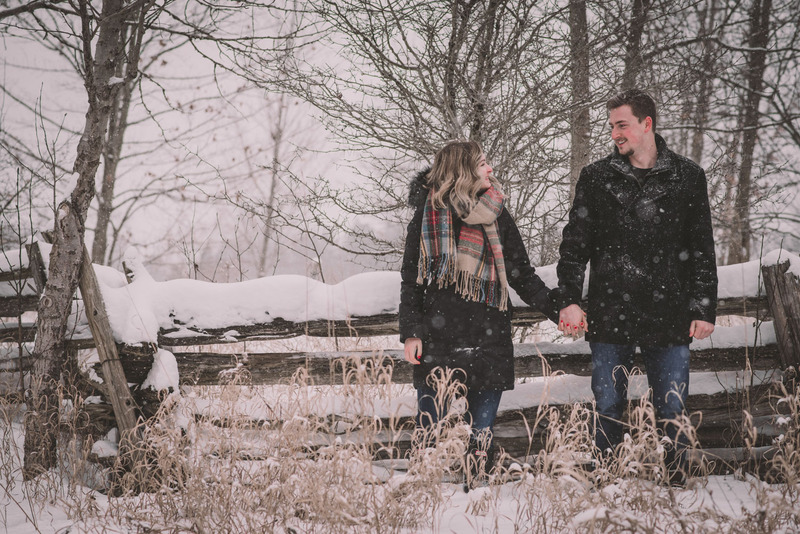 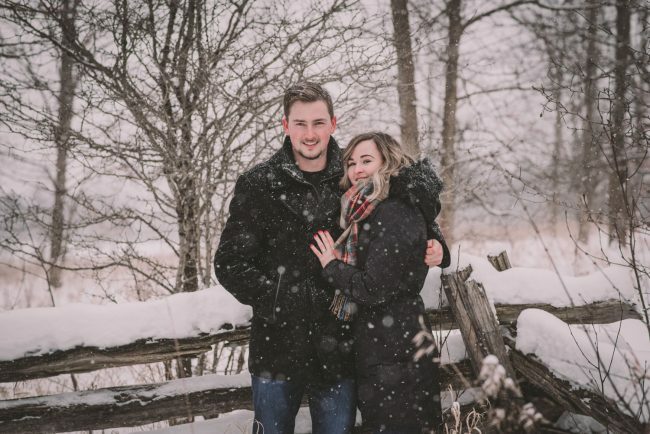 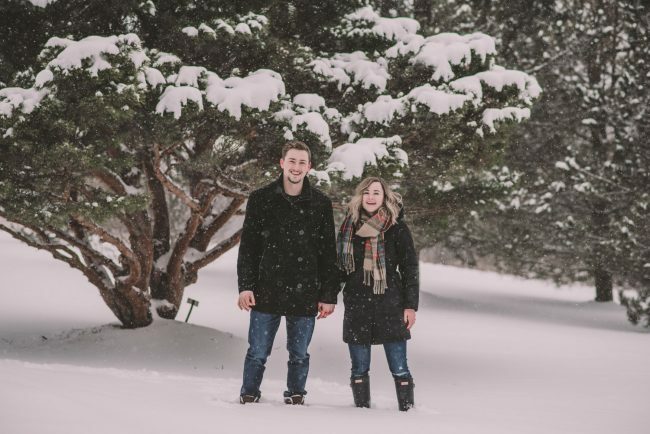 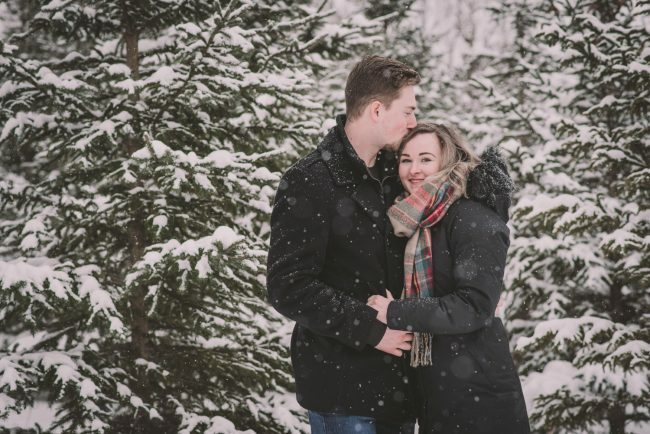 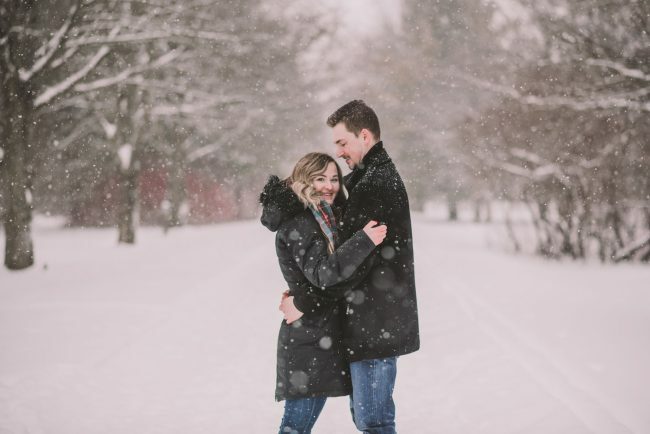 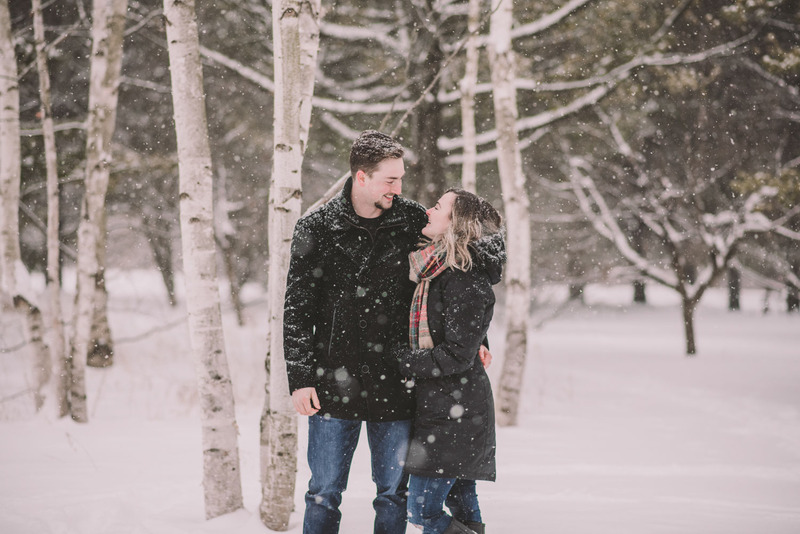 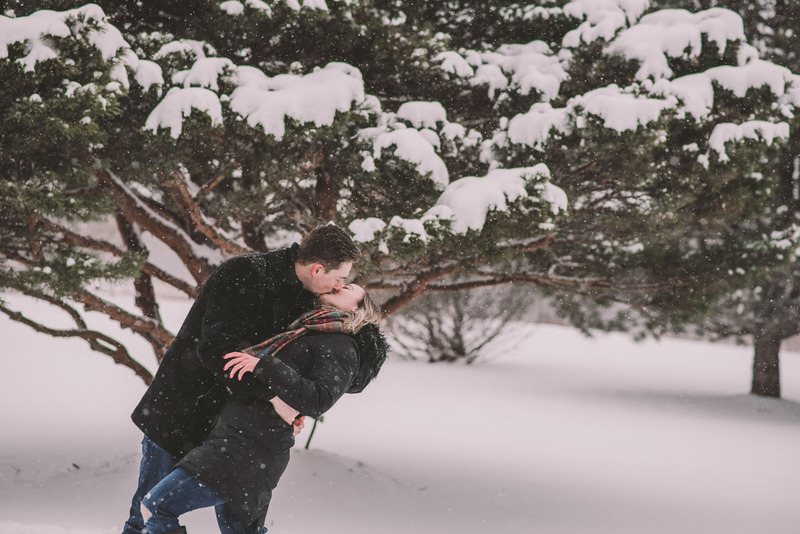 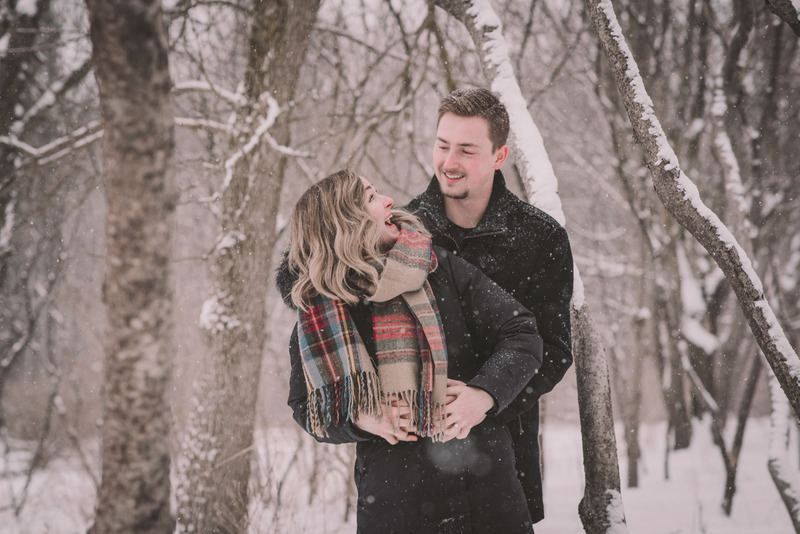 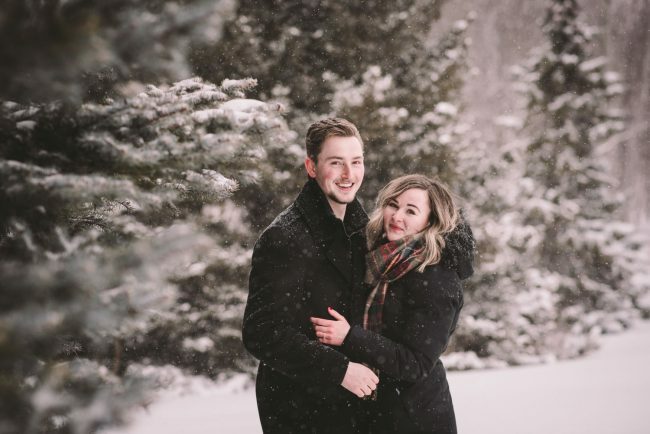 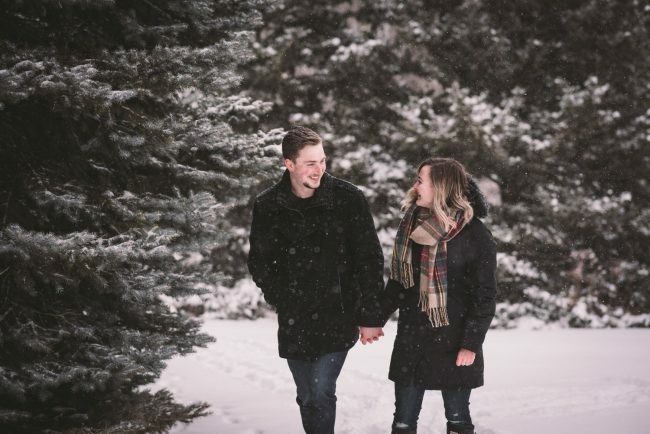 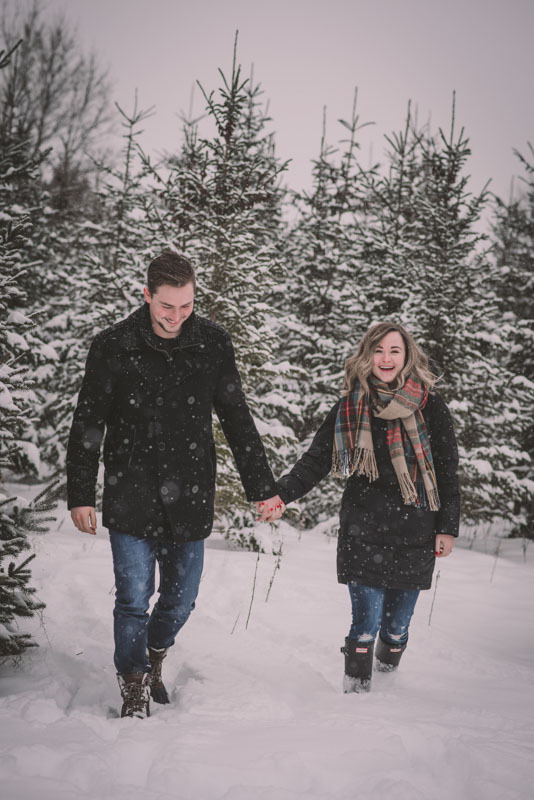 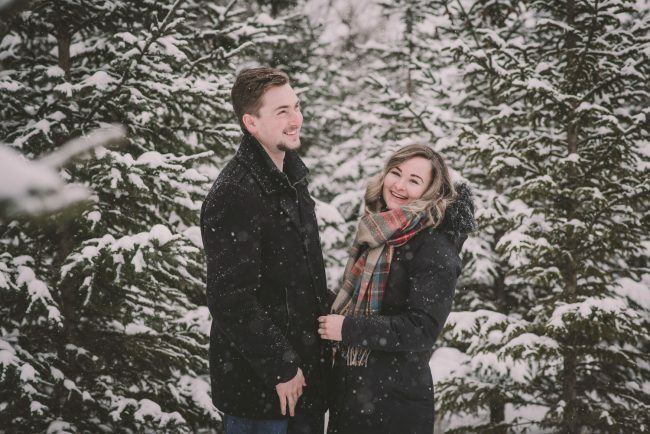 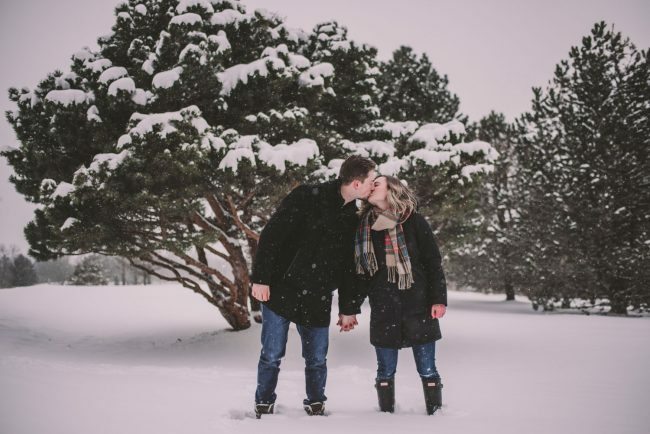 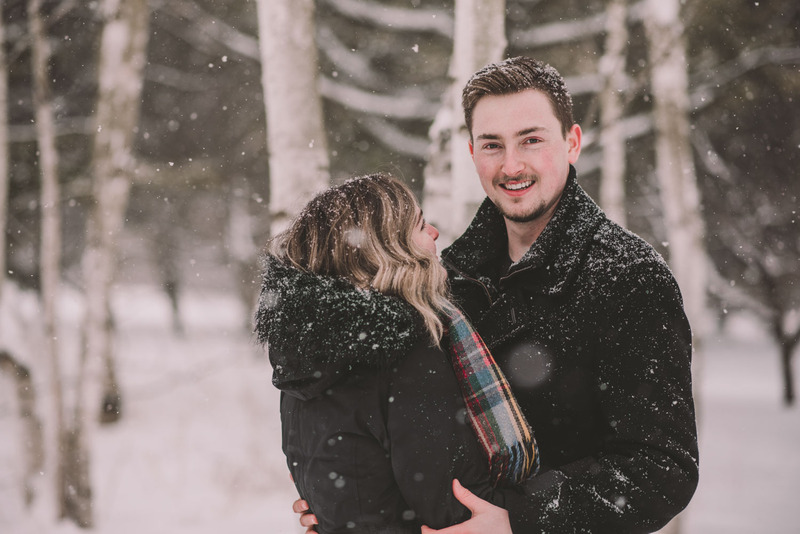 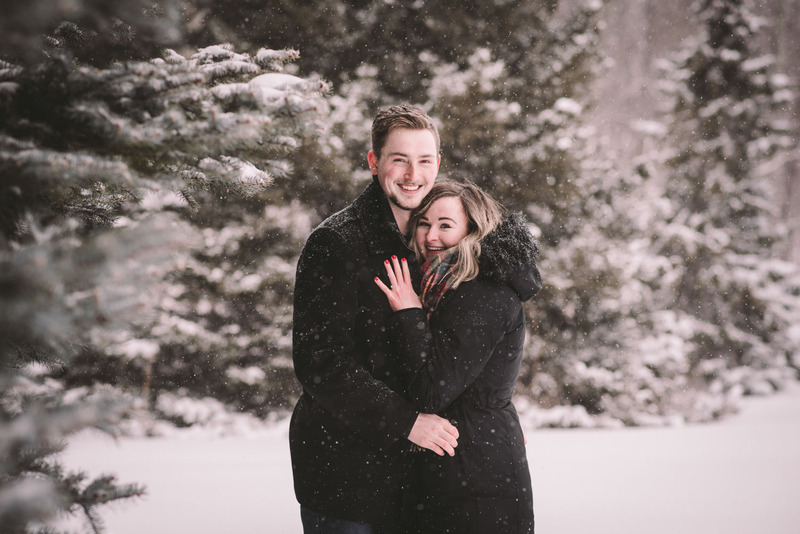 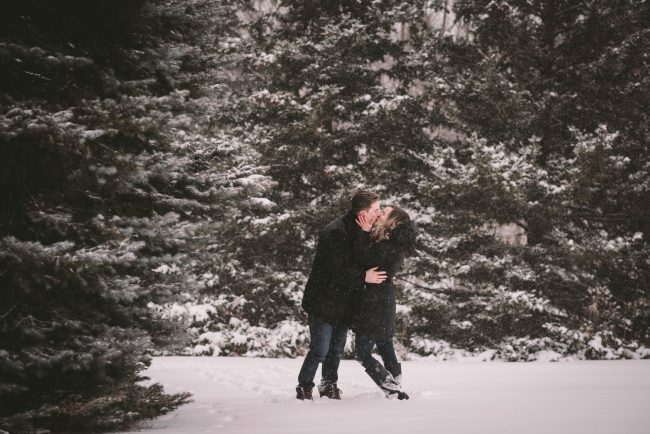 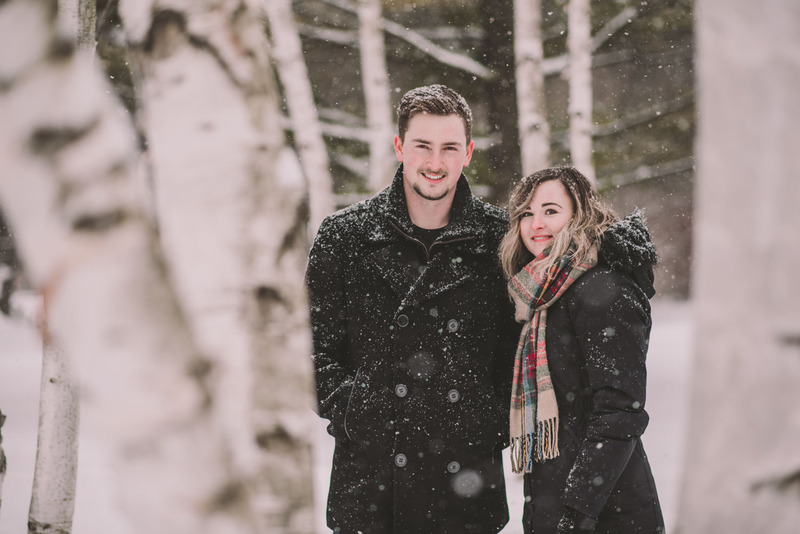 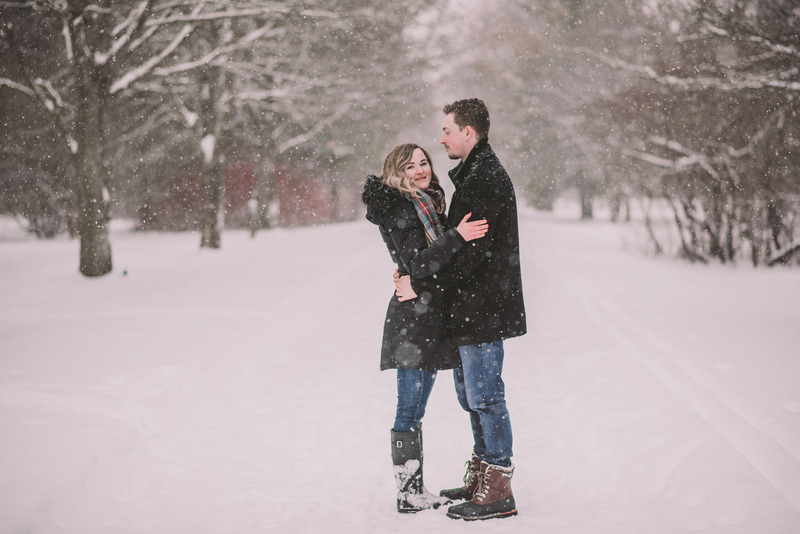 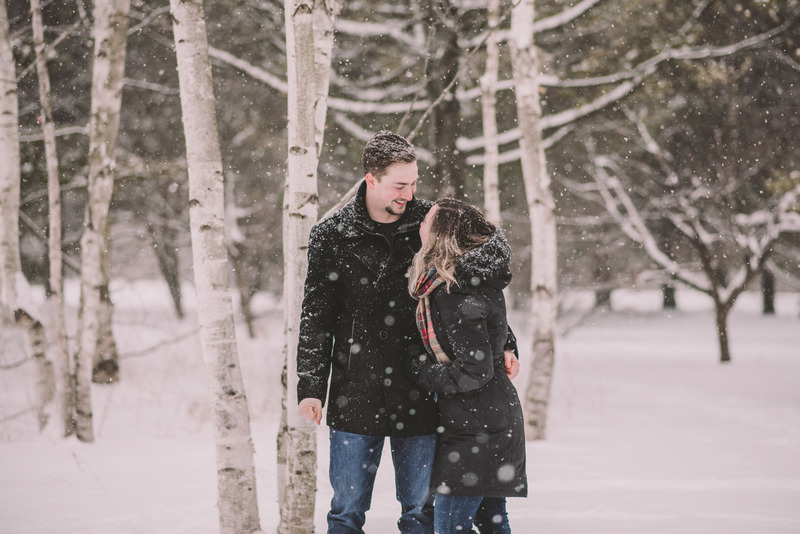 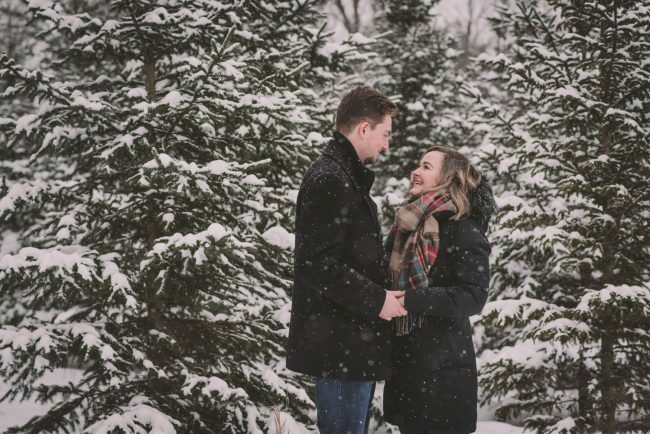 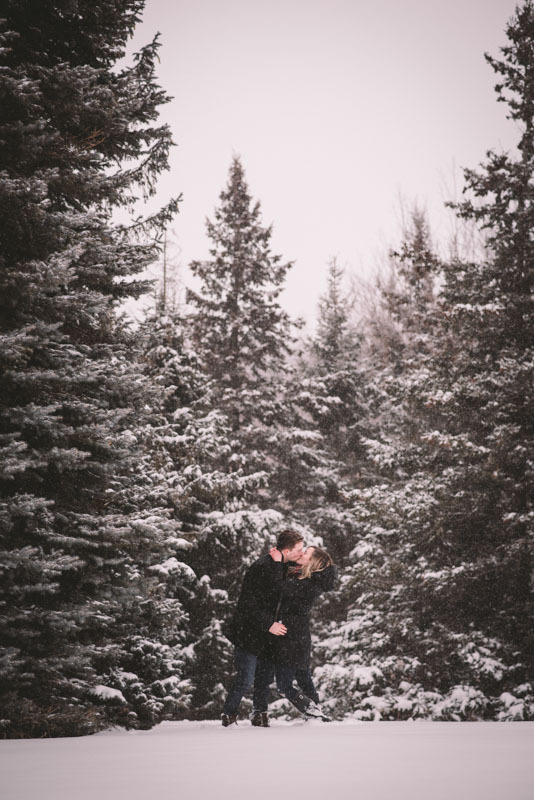 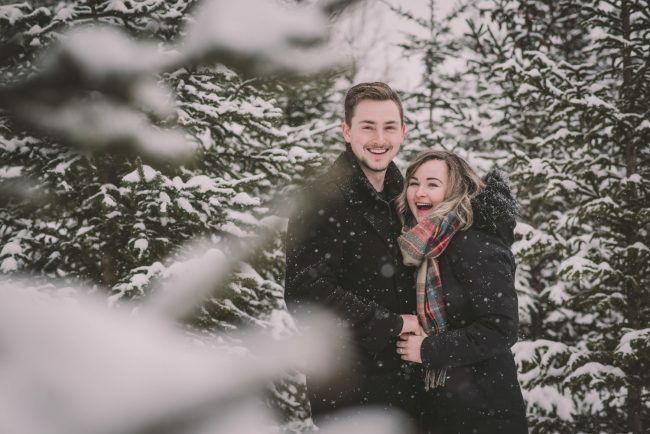 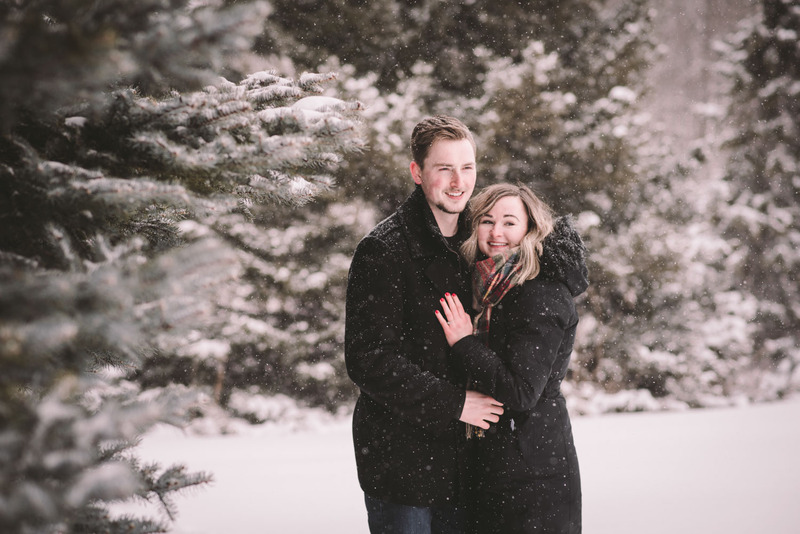 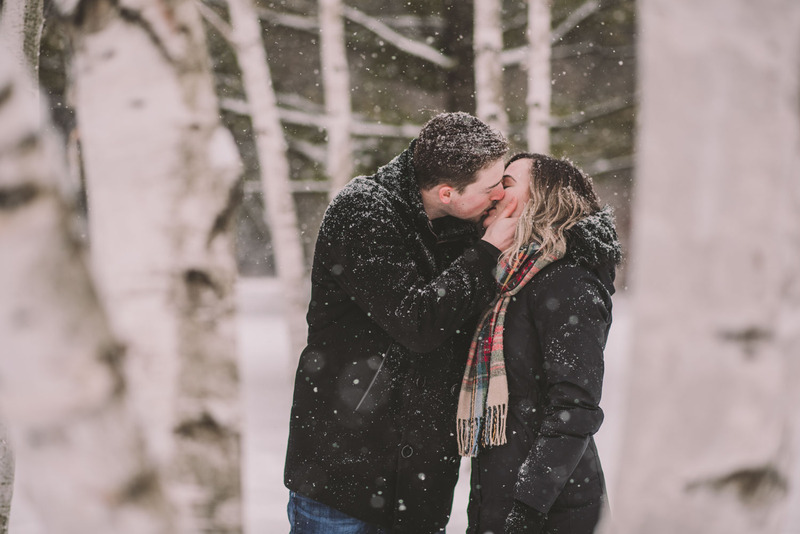 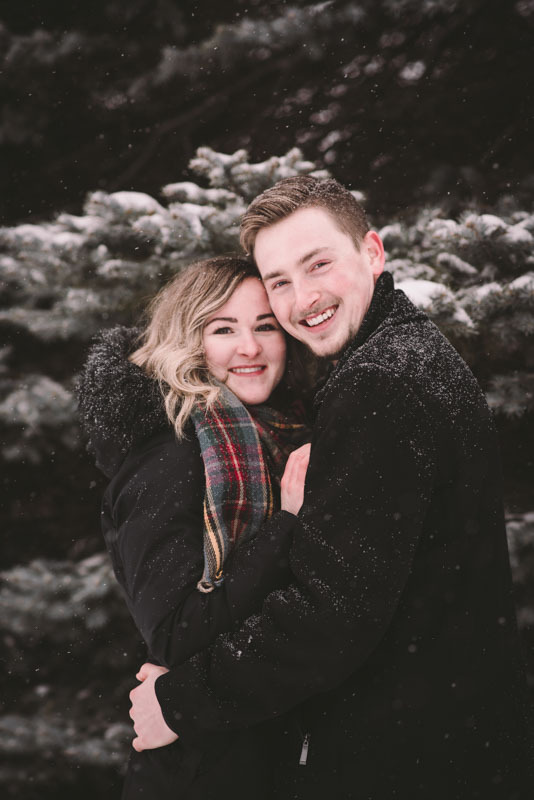 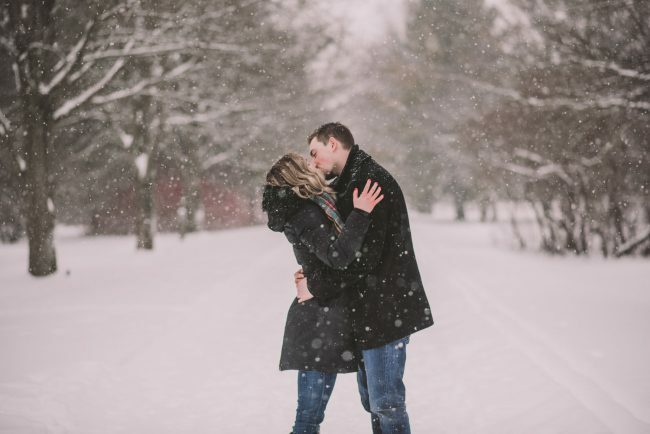 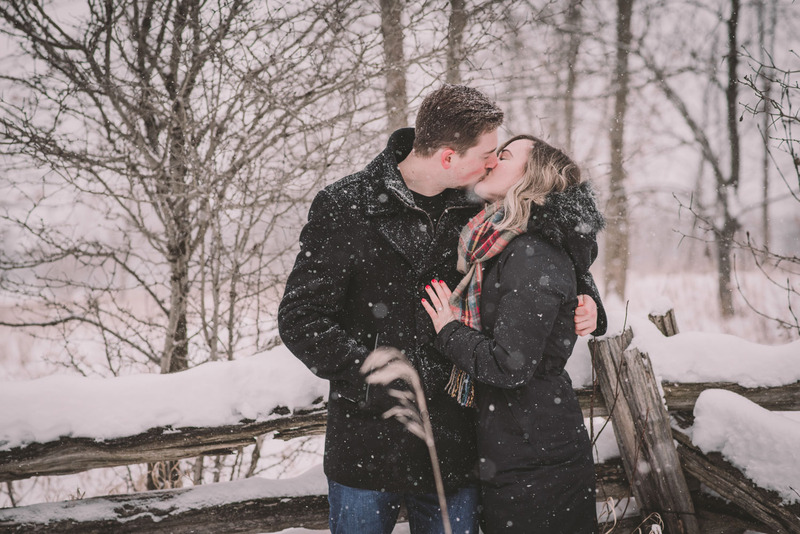 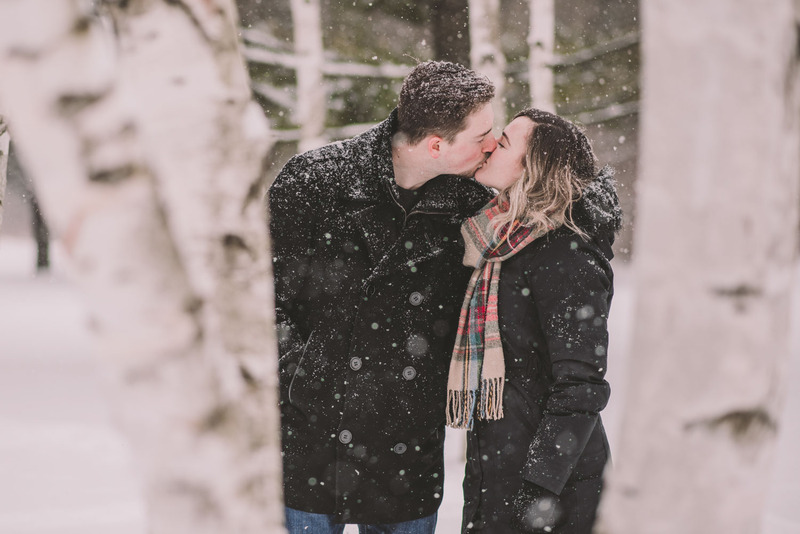 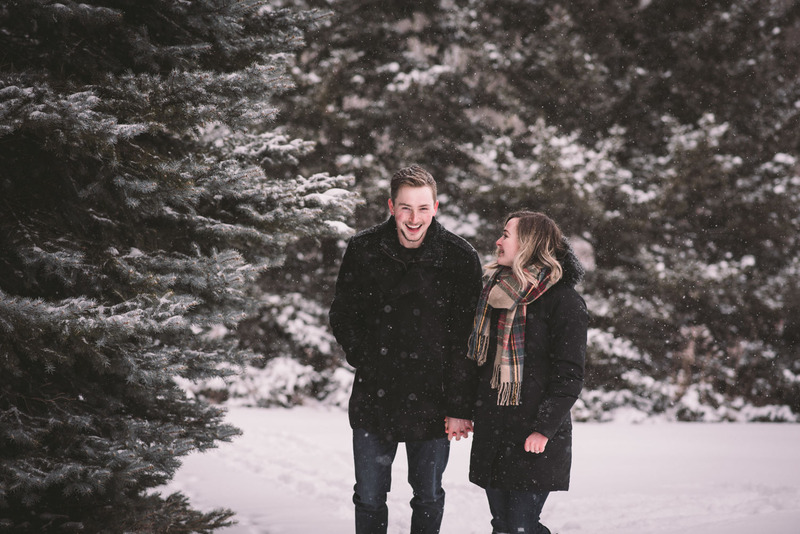 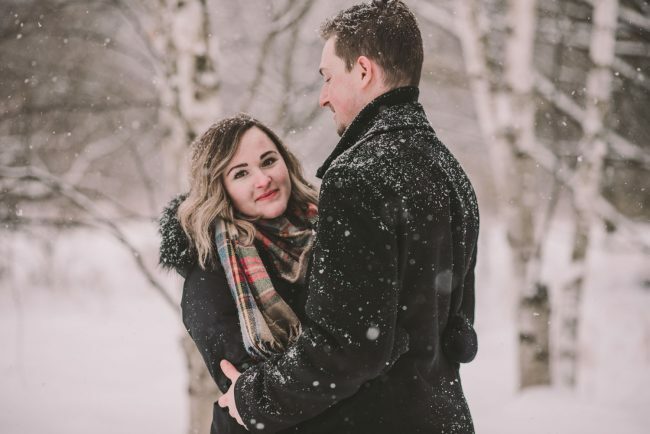 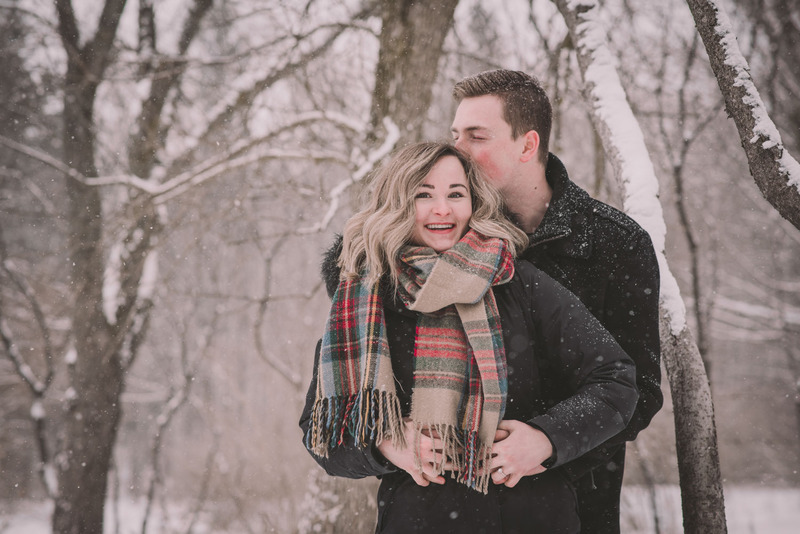 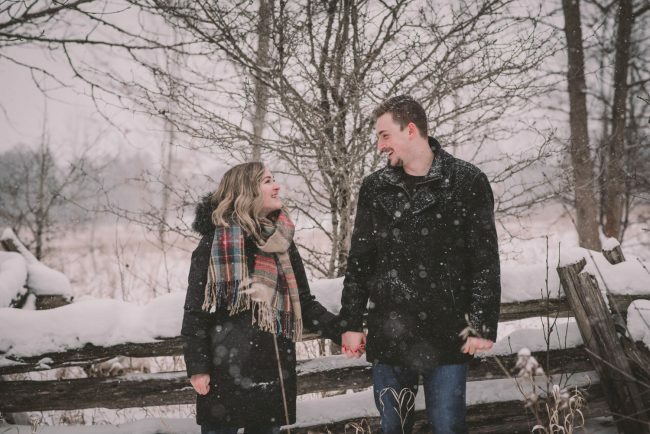 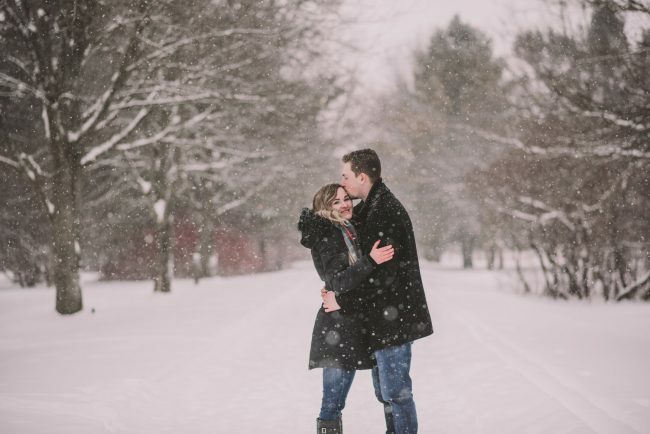 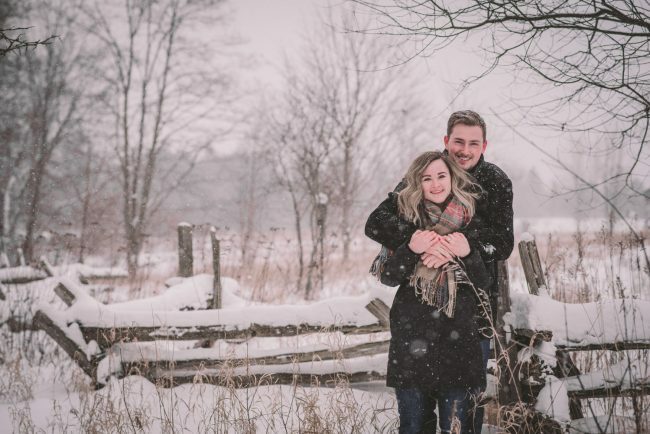 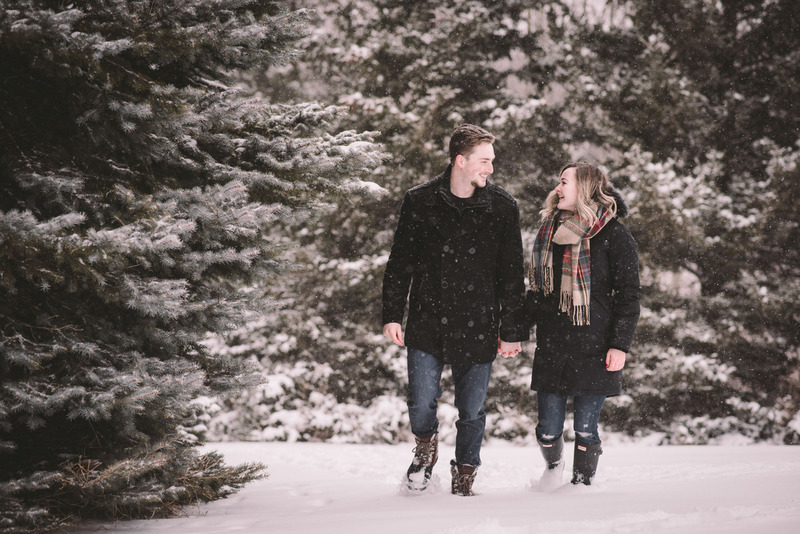 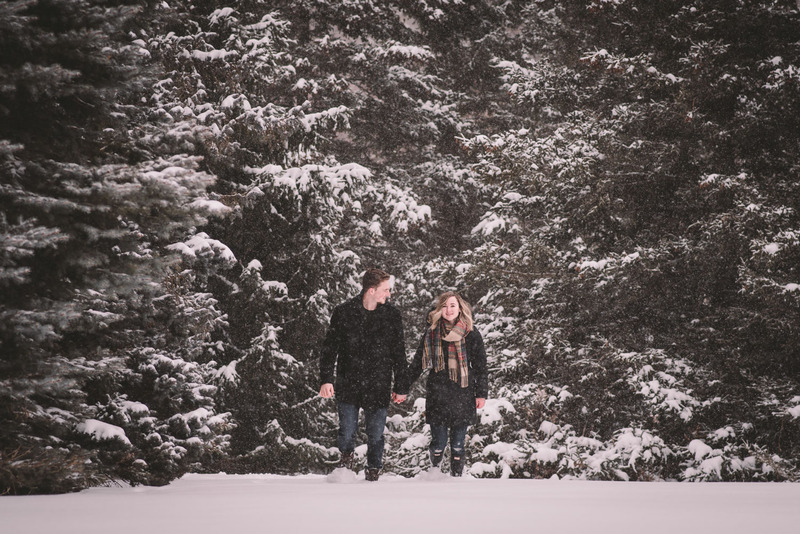 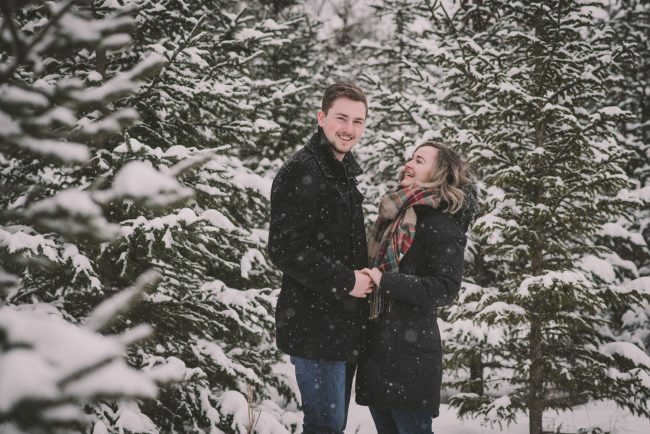 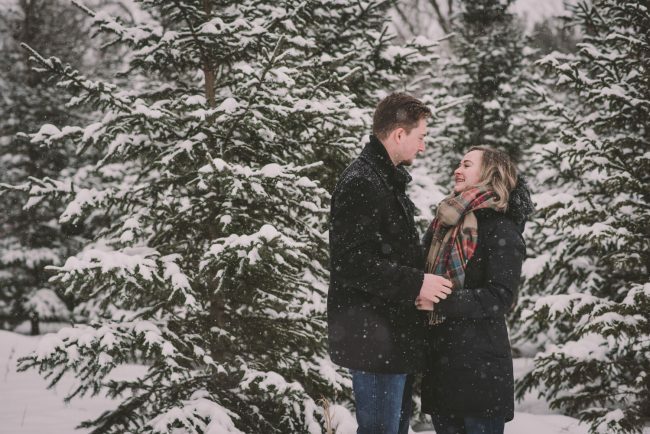 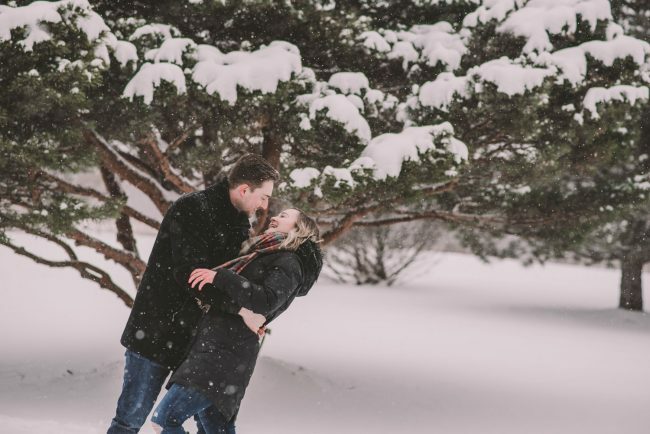 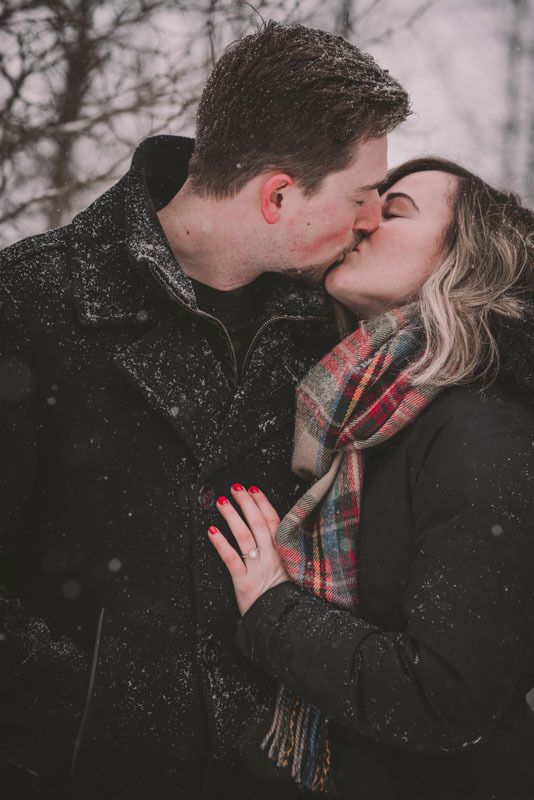 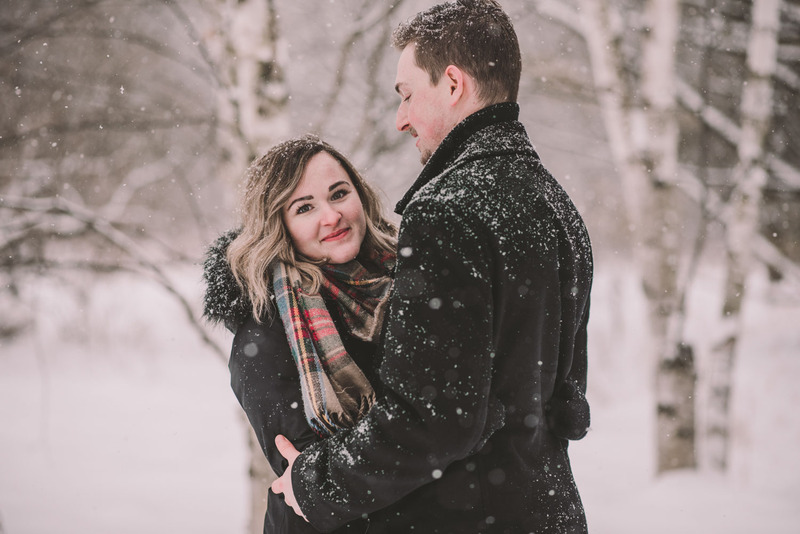 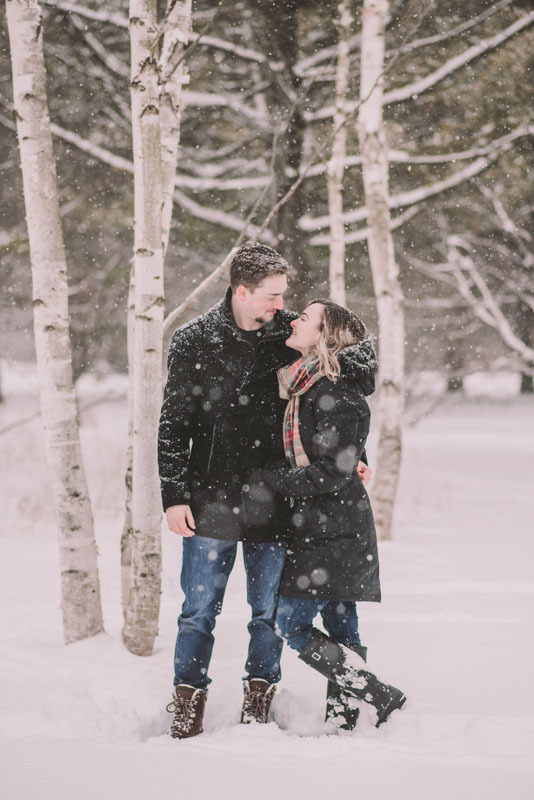 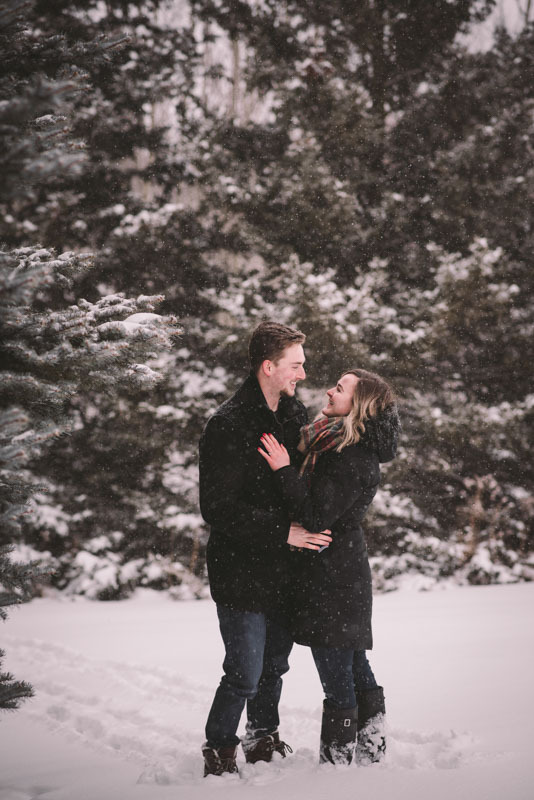 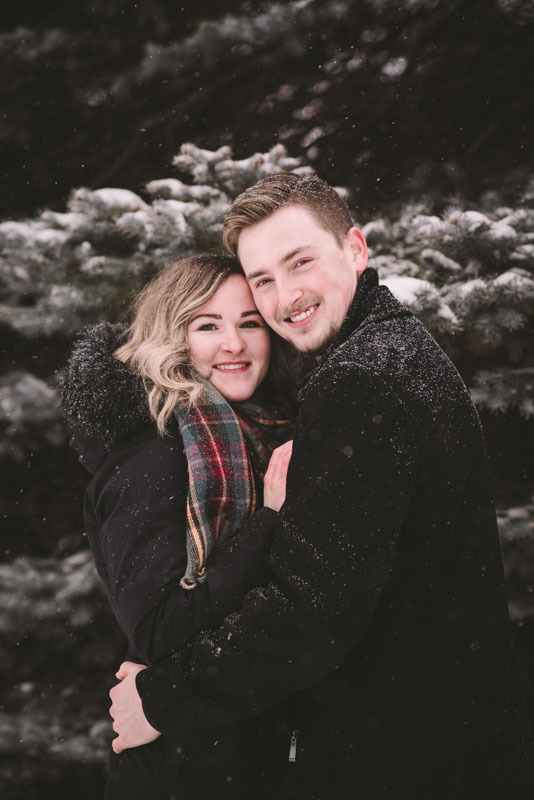 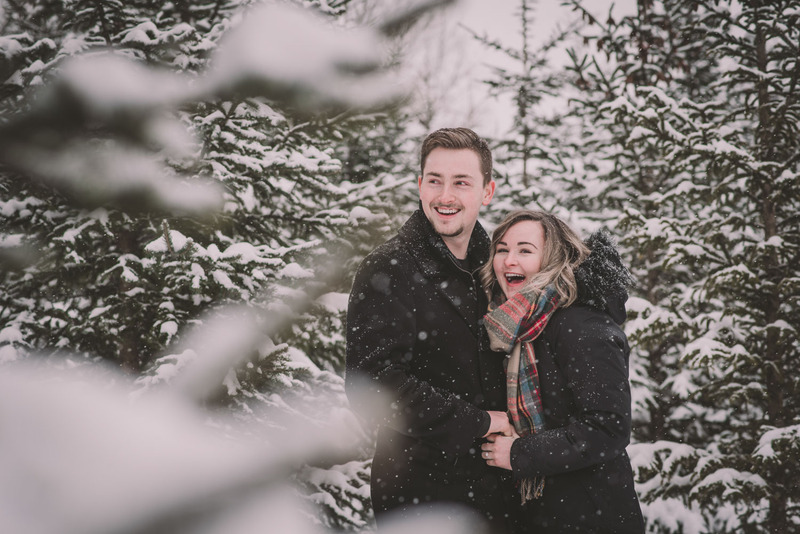 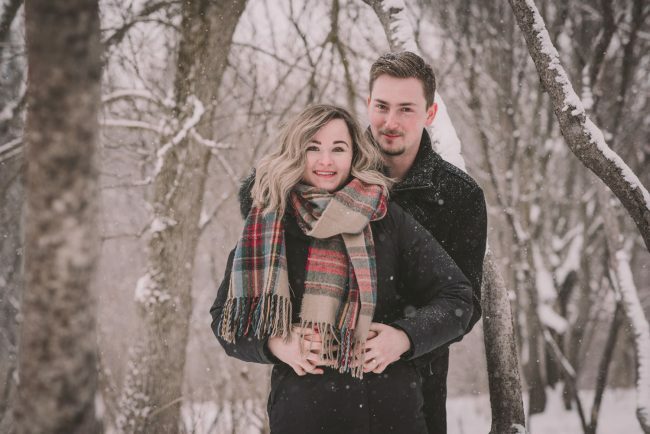 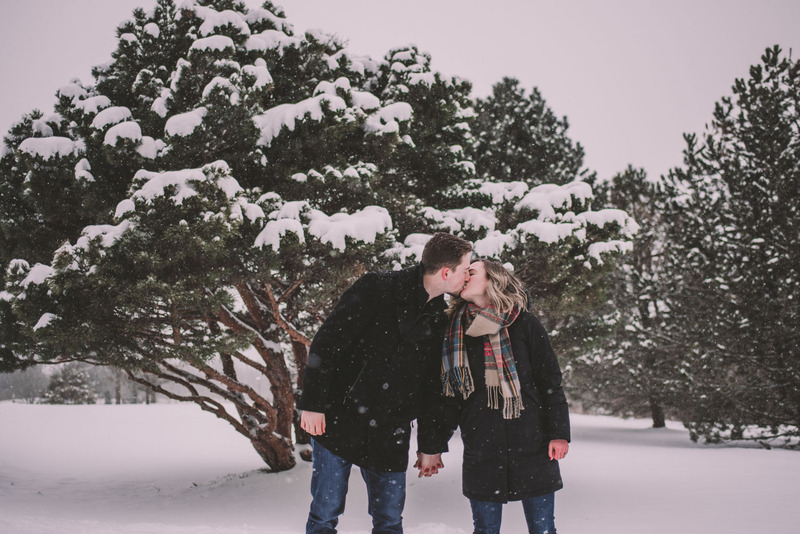 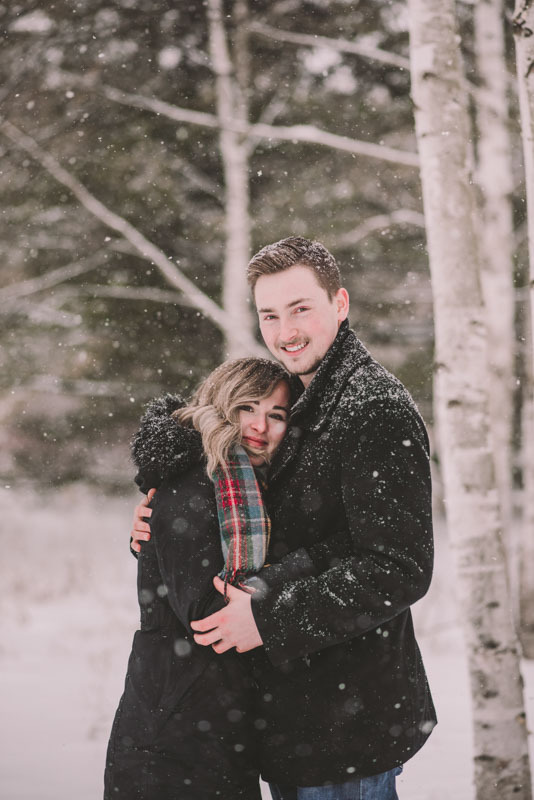 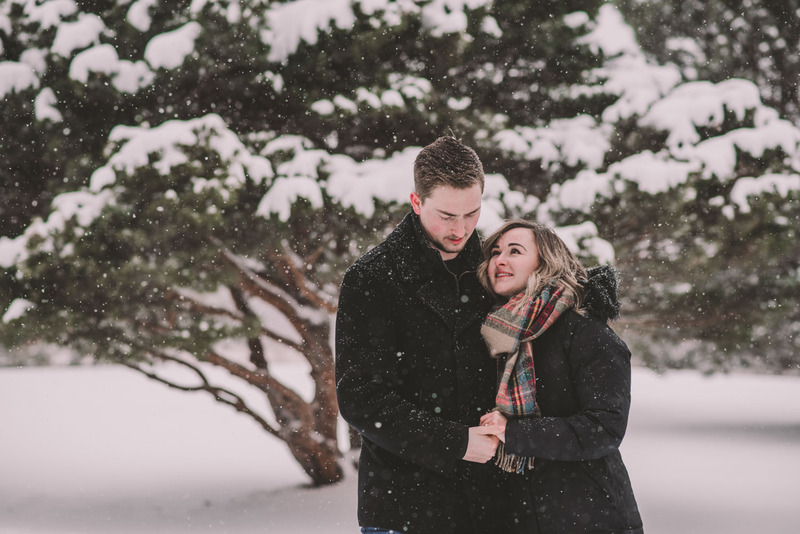 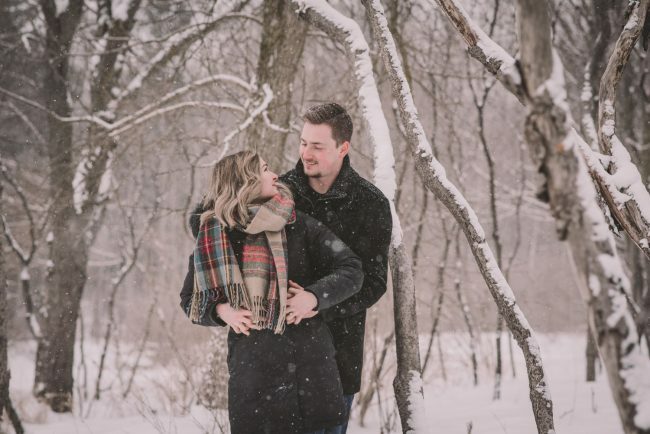 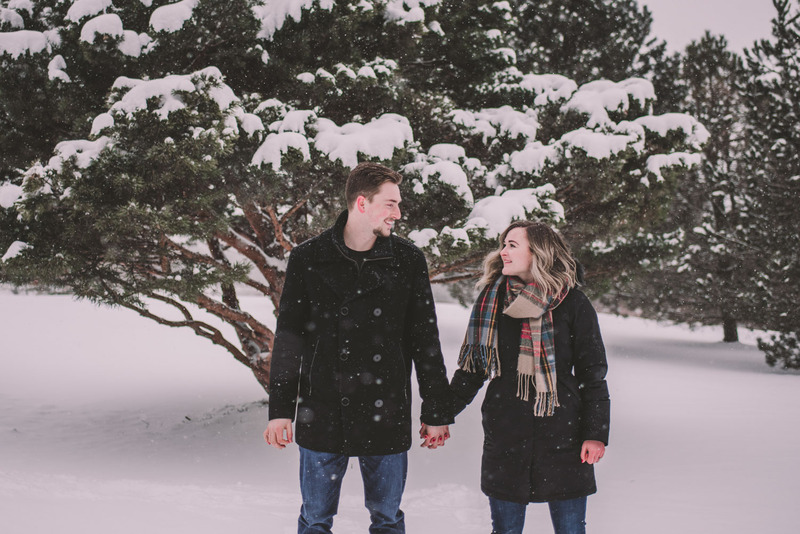 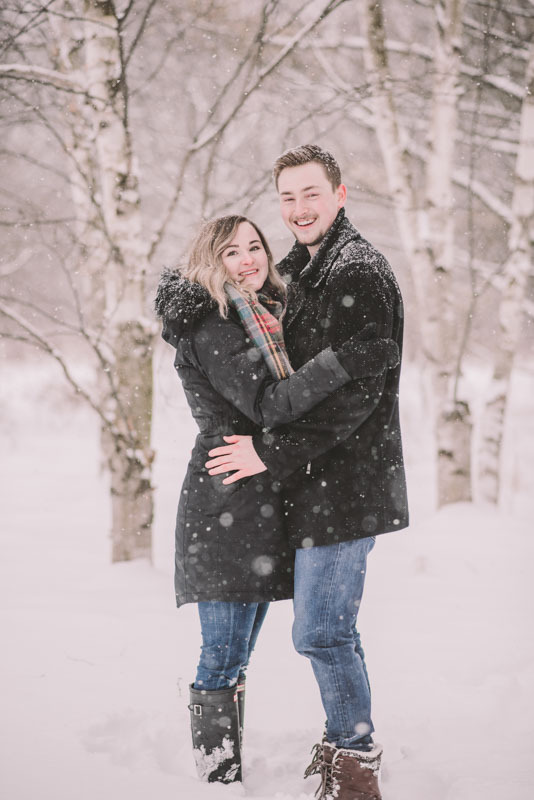 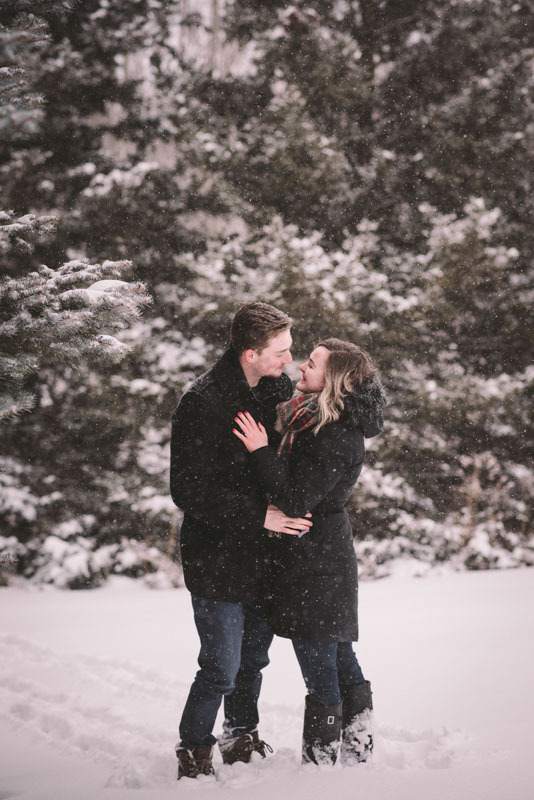 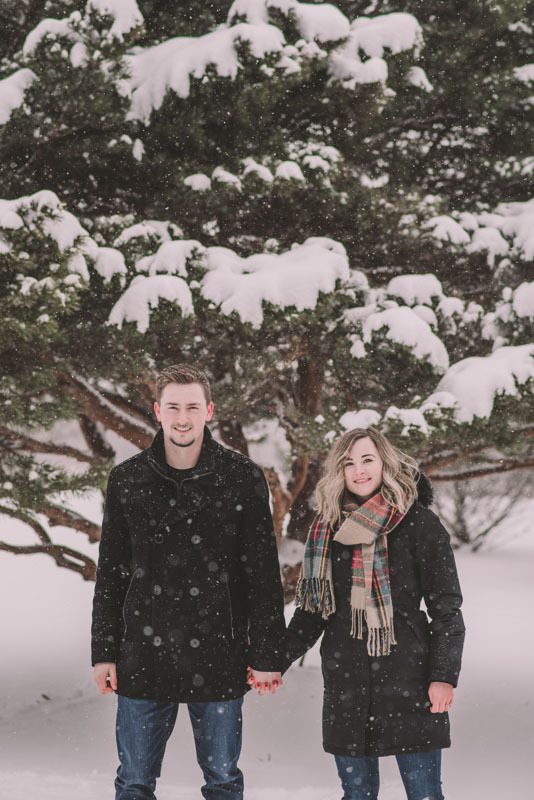 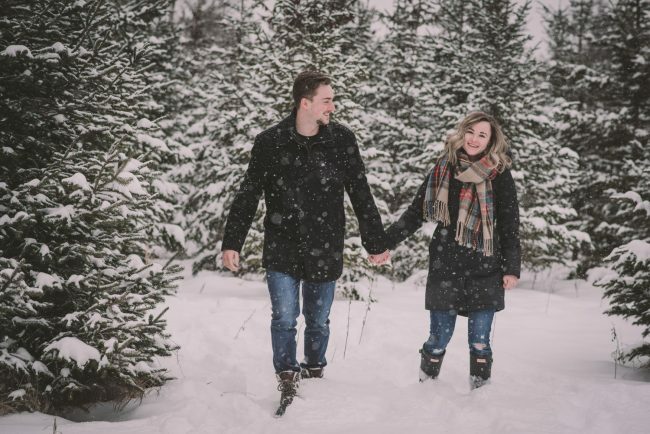 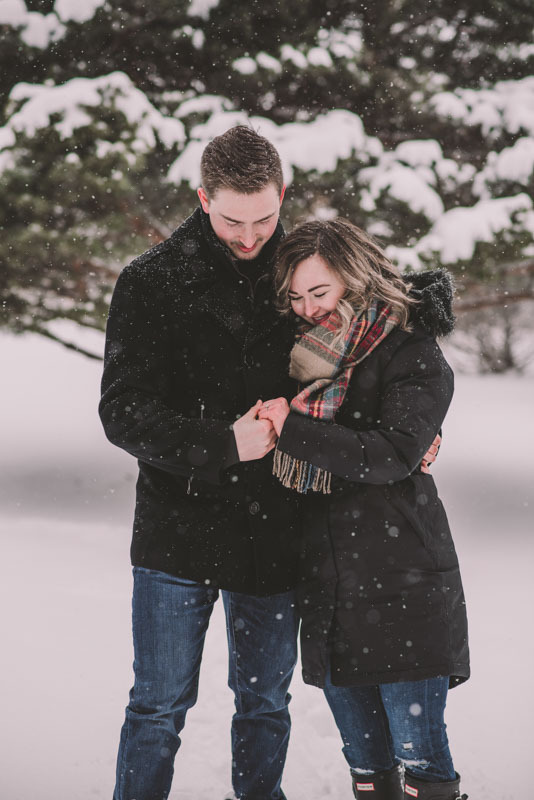 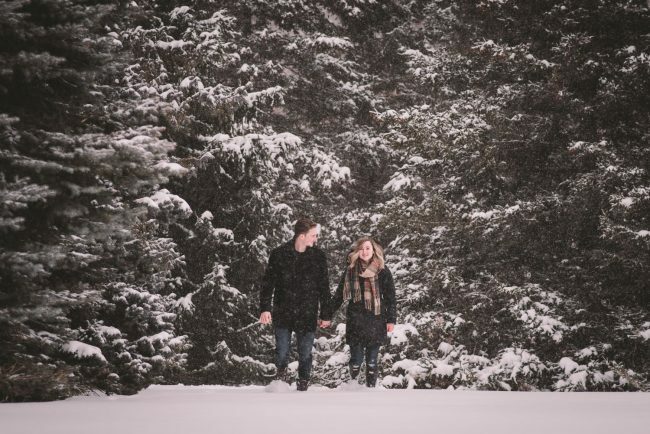 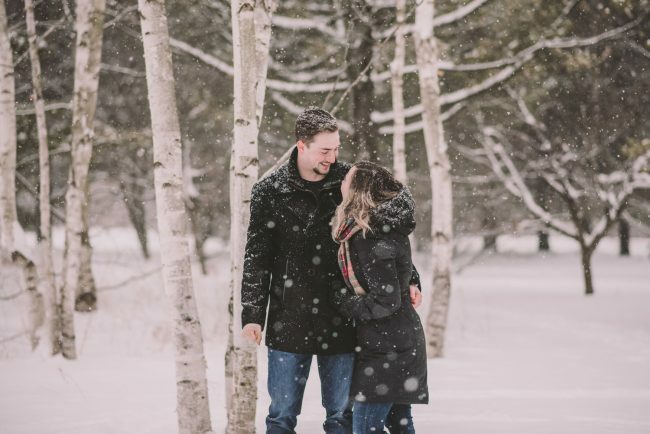 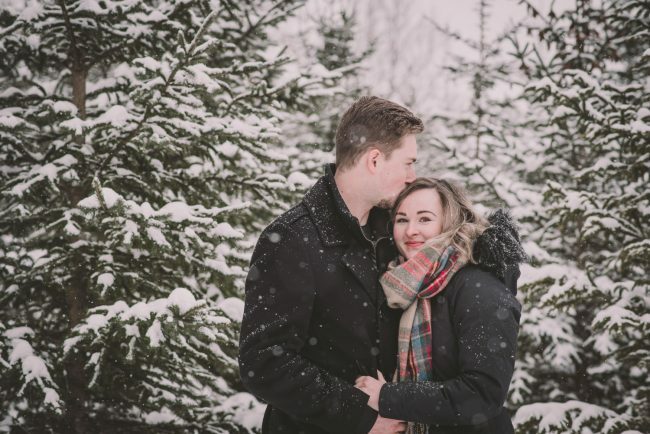 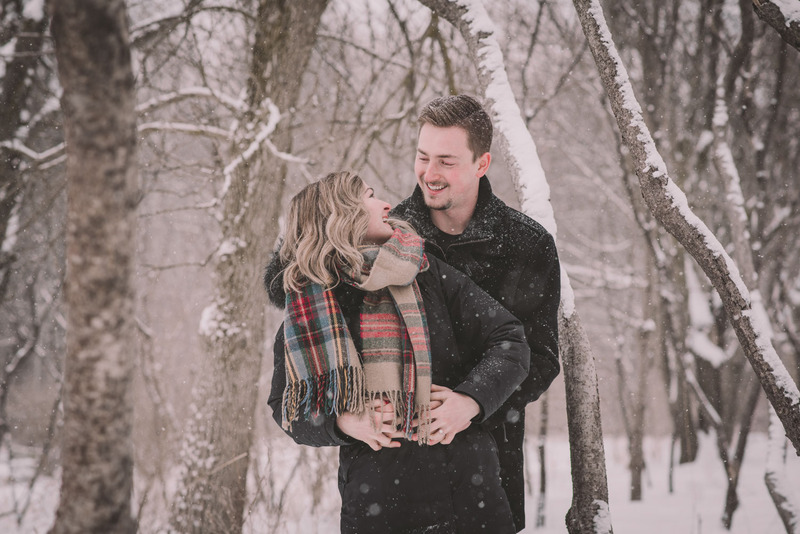 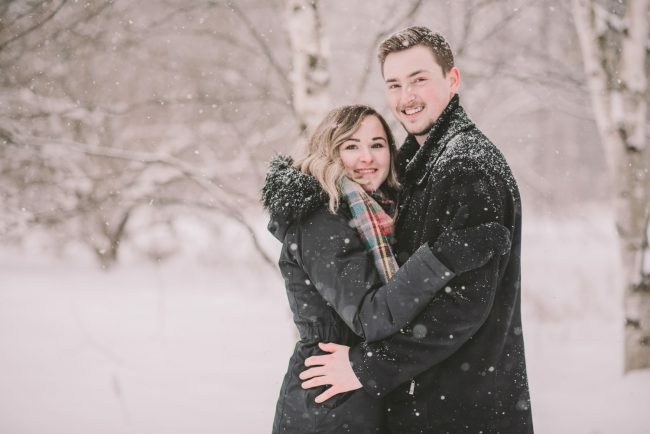 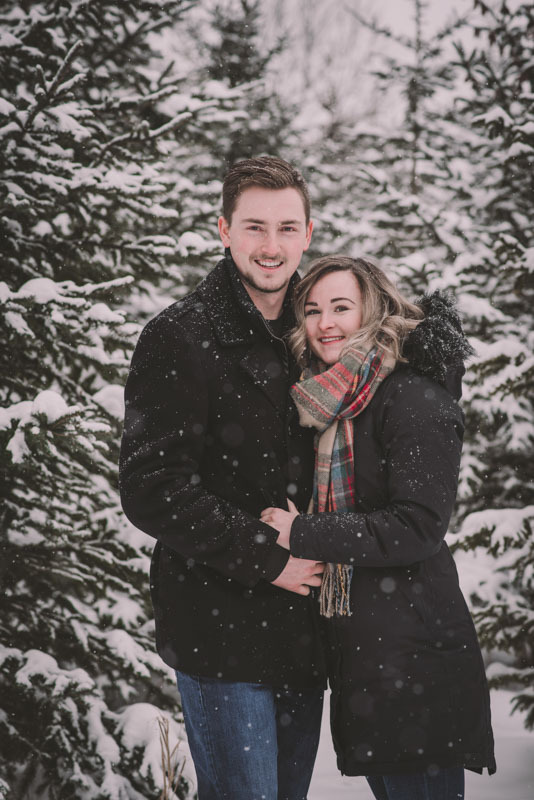 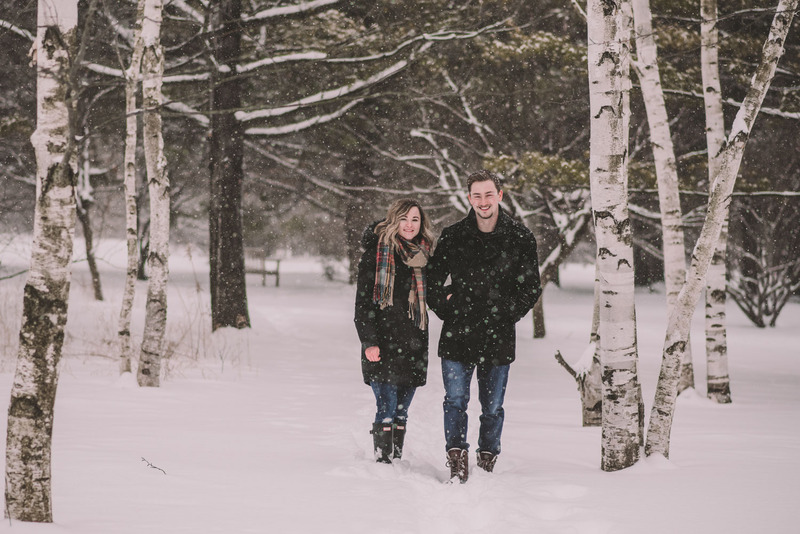 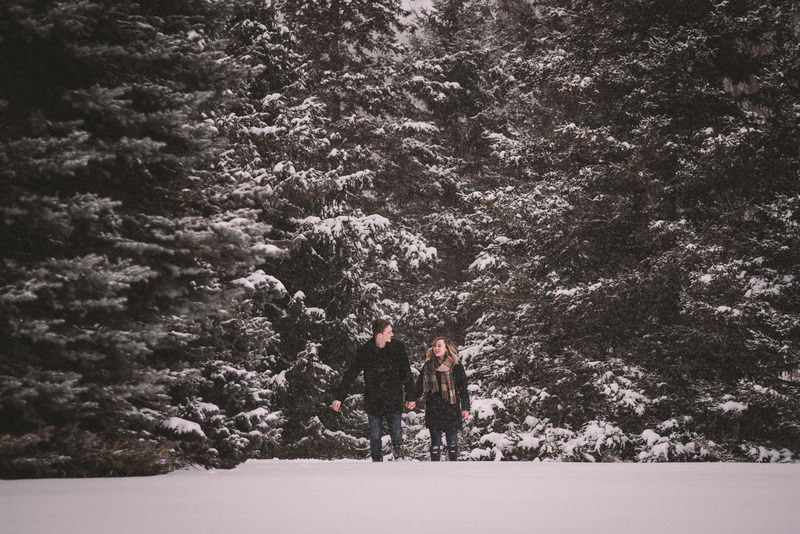 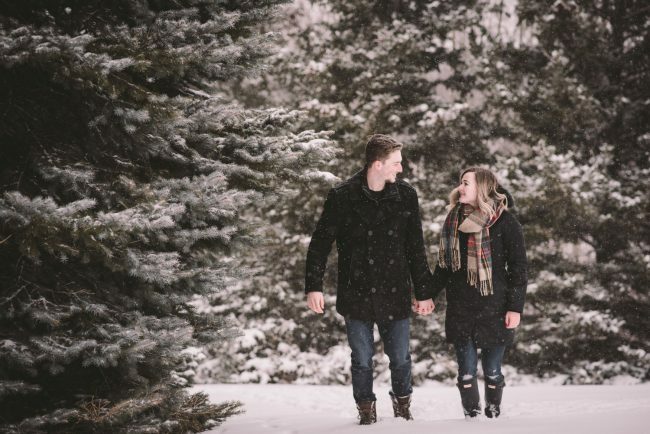 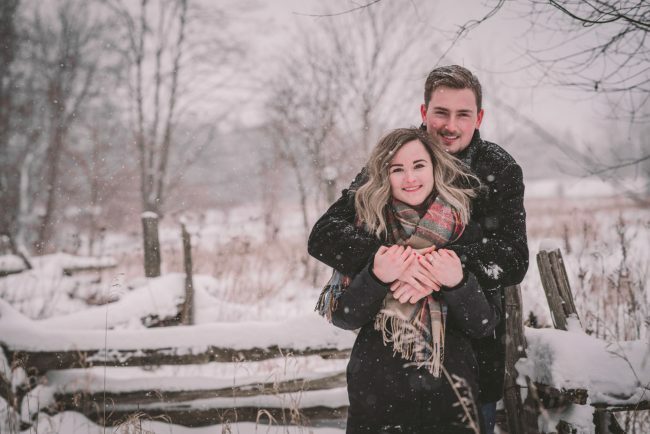 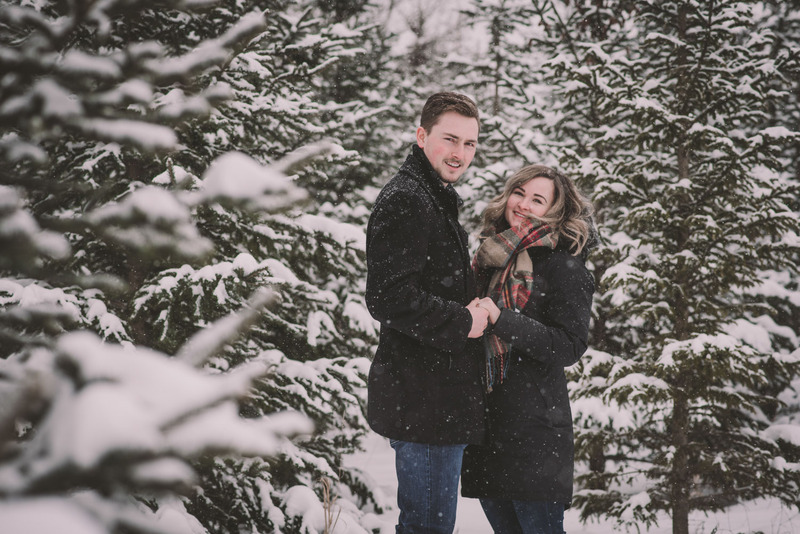 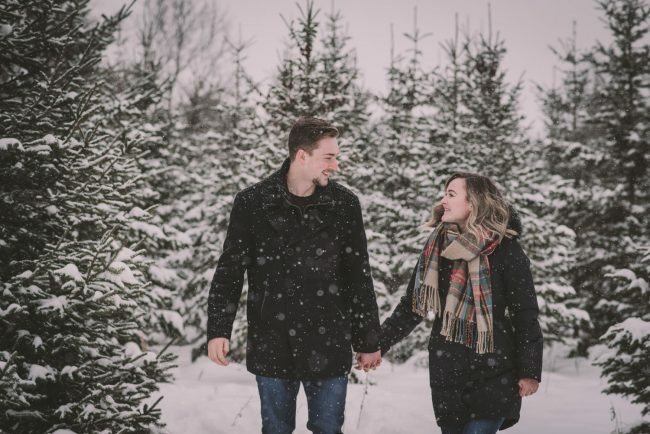 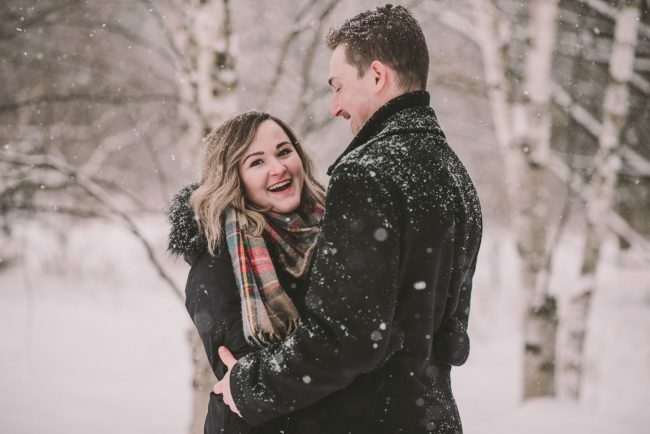 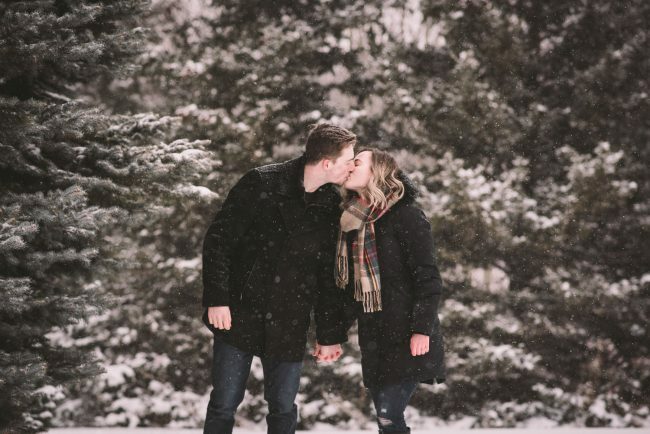 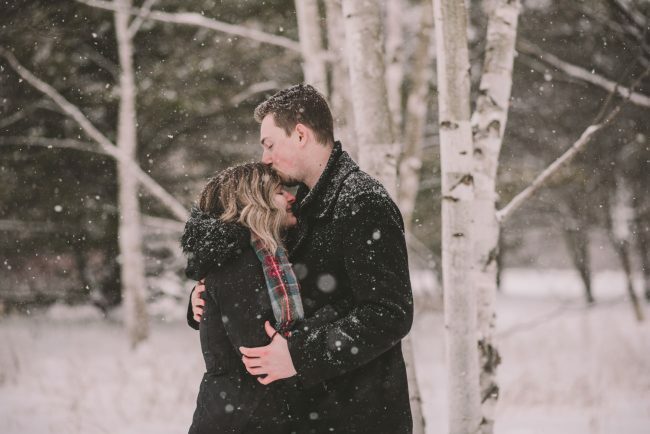 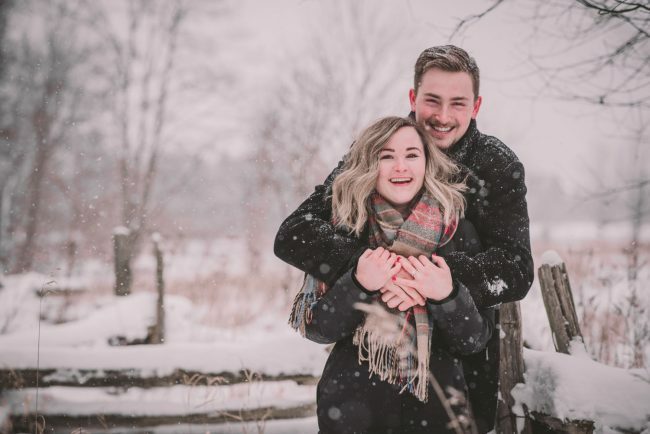 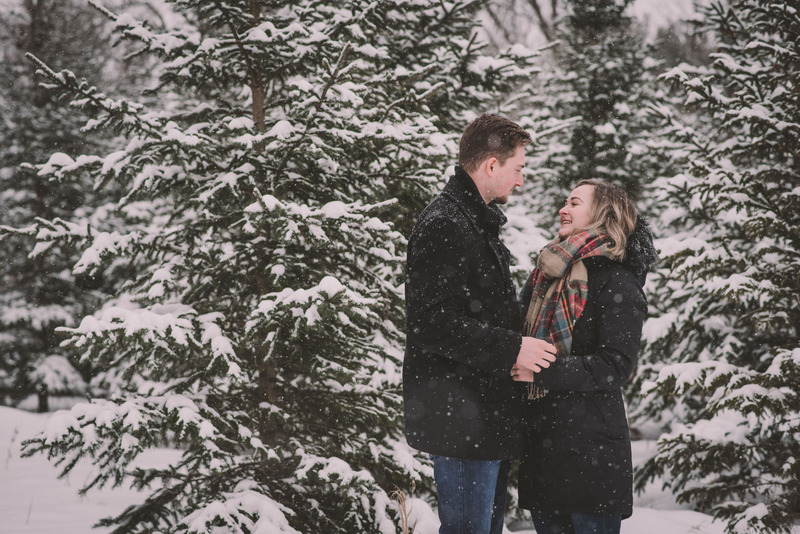 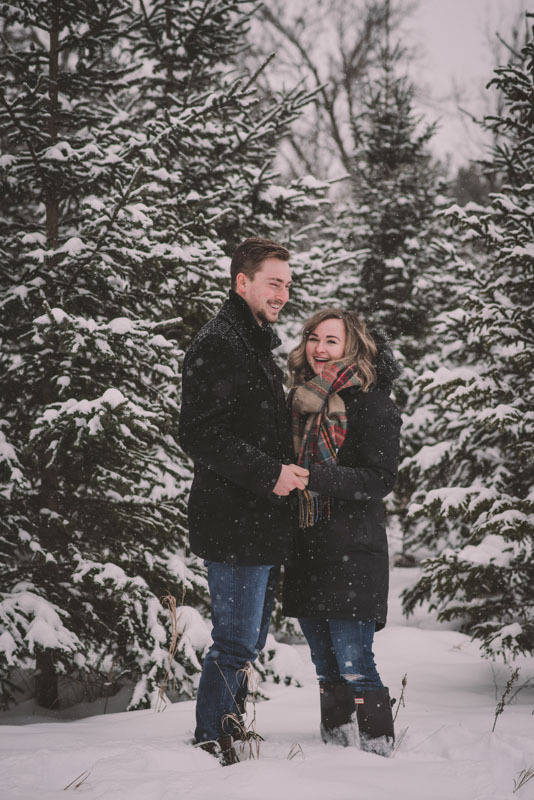 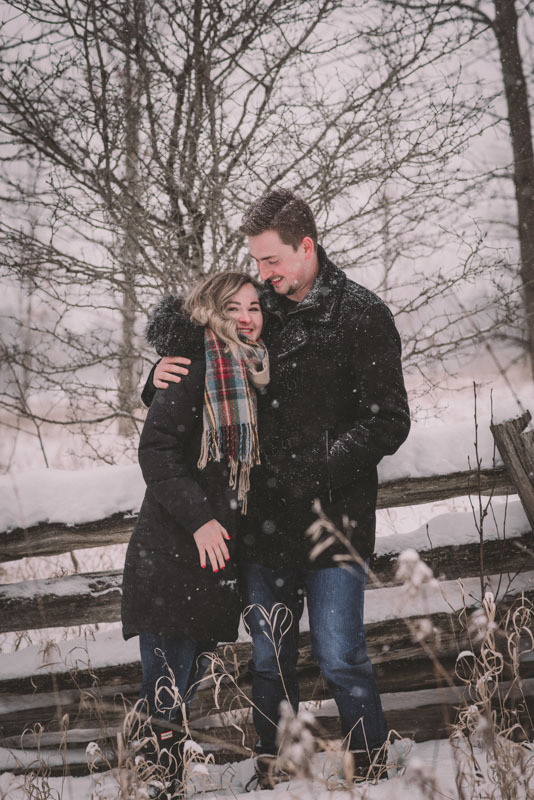 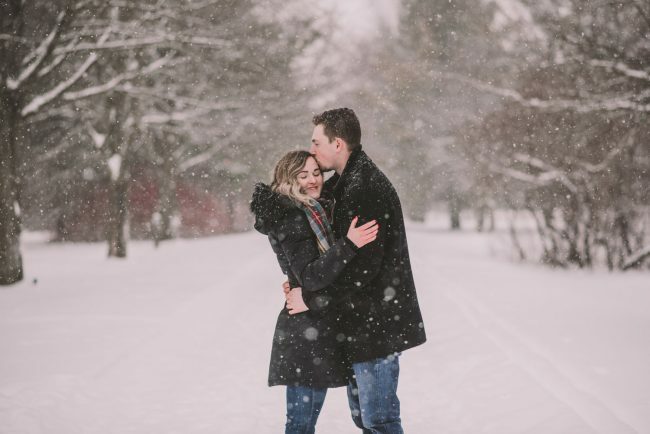 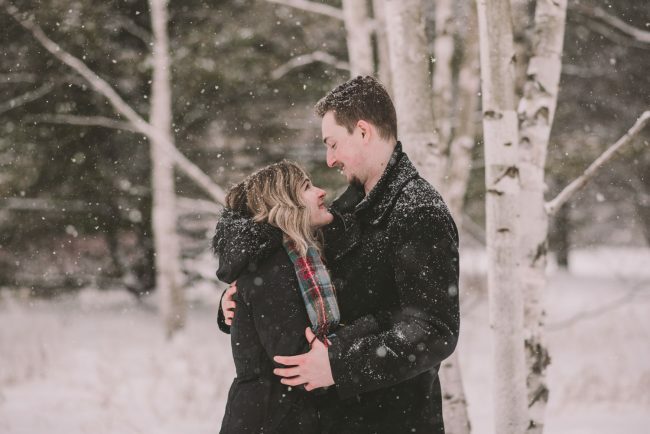 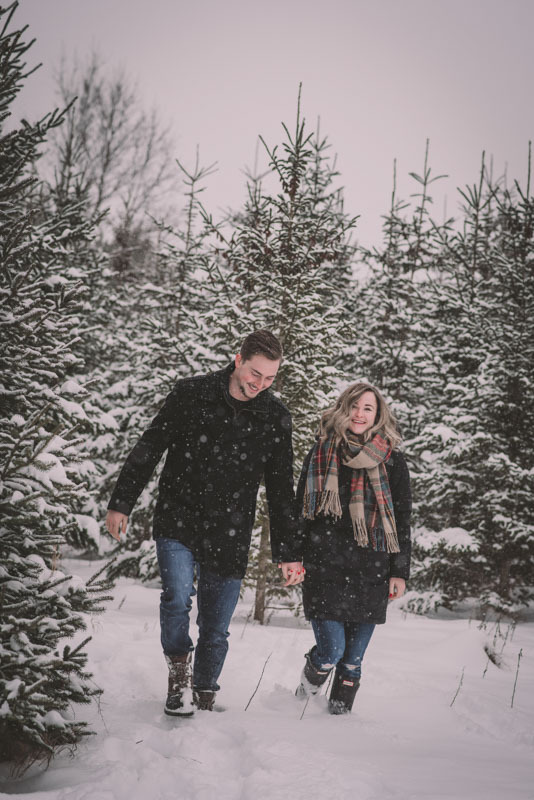 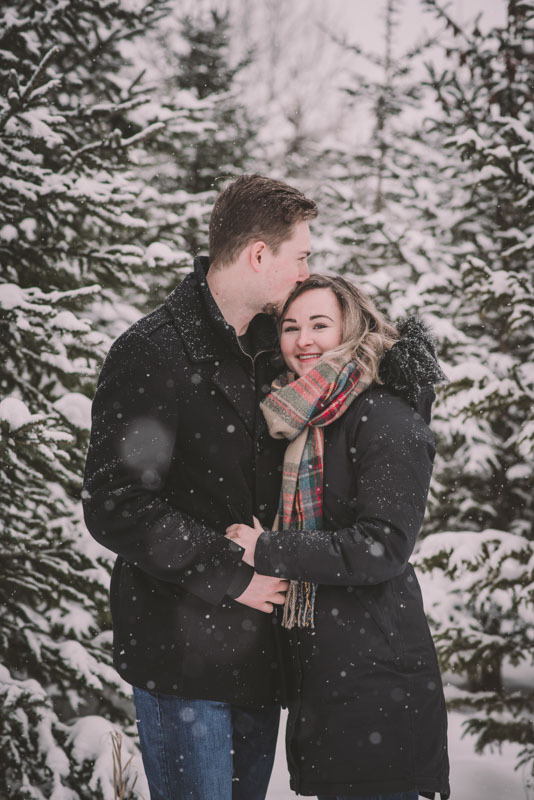 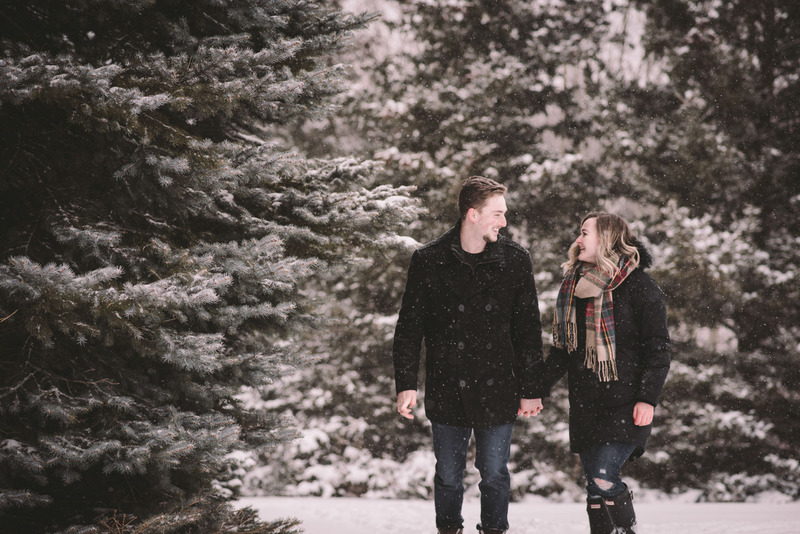 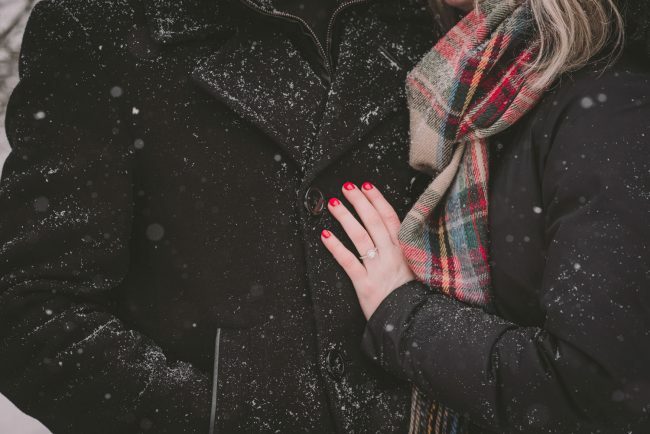 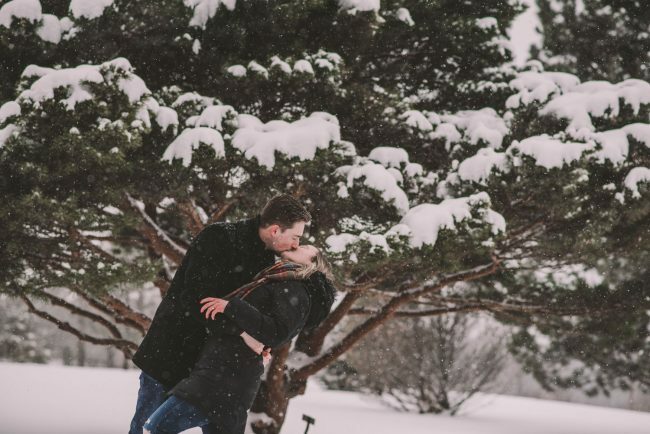 Josslyn and Adam’s stunning winter engagement session took place during a heavy snow fall in Guelph, at the University of Guelph Arboretum! 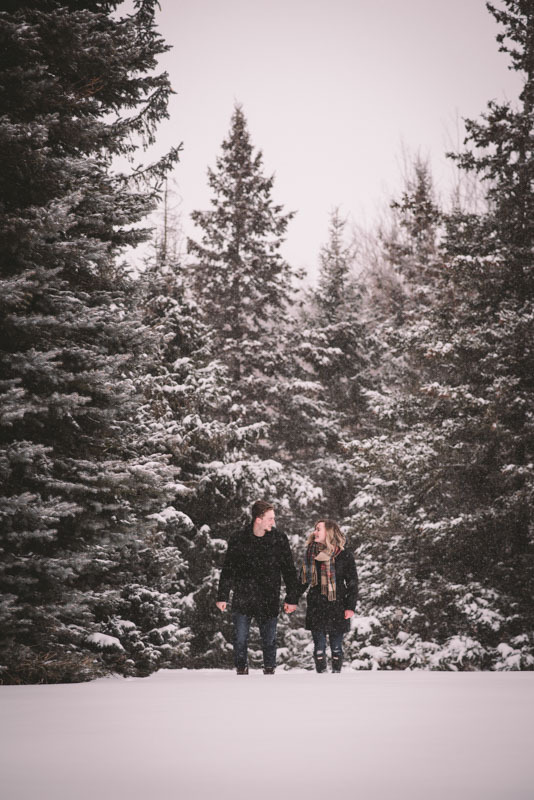 “Whimiscal” was our word of the day, and was it ever! "I am not even sure where to start this review - I have so many good things to say about Ema! 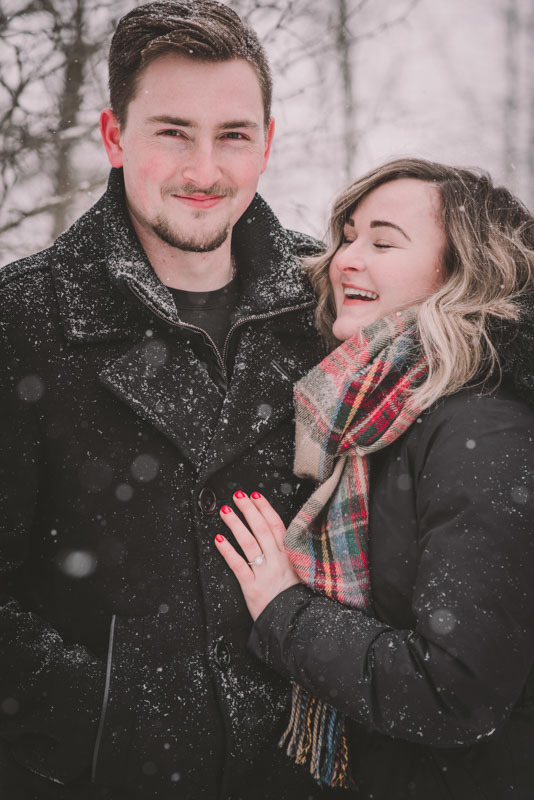 I researched photographers for many hours once we got engaged, because I wanted the right person to capture our special day. 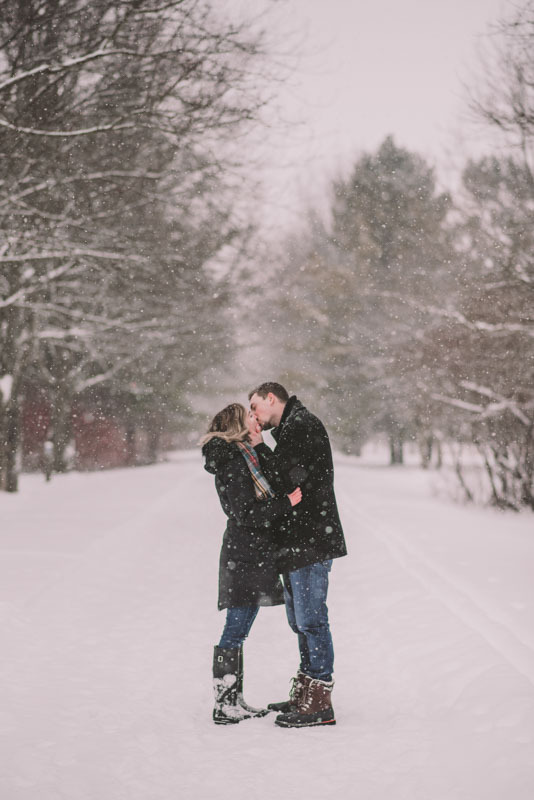 Once I met Ema in person and after reviewing her stunning work, I knew she was "the one." 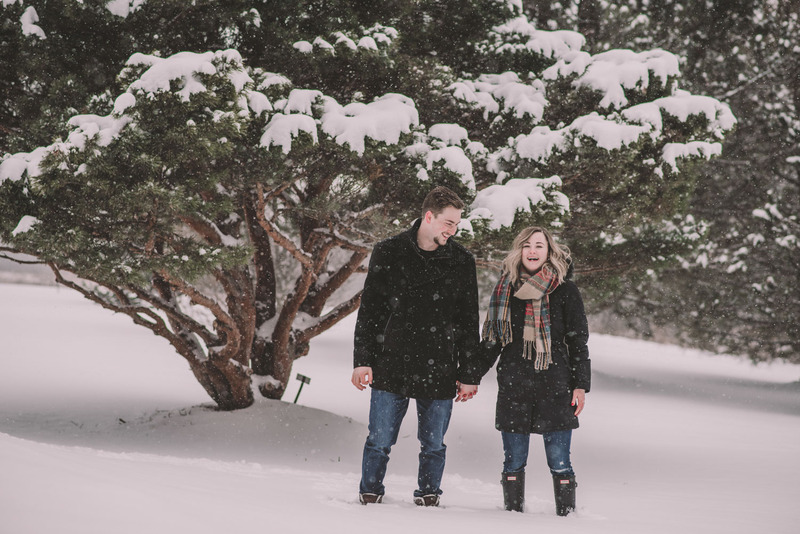 So far, Ema has captured our engagment photos and will be doing our wedding in Spring 2019. 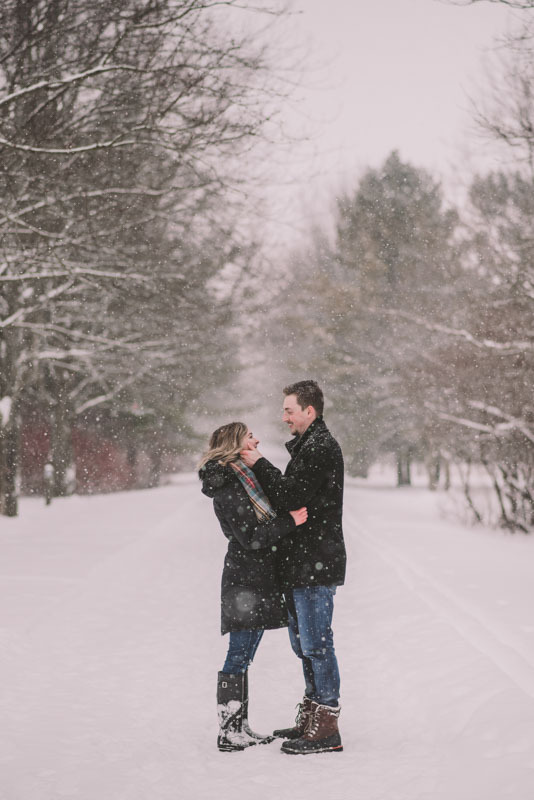 After seeing our engagement shoot, to say I am excited to see our wedding photos would be an understatement. Both my fiancé and I can be quite awkward in front of the camera, but Ema made us look like naturals, something I was definitely looking for in a photographer. 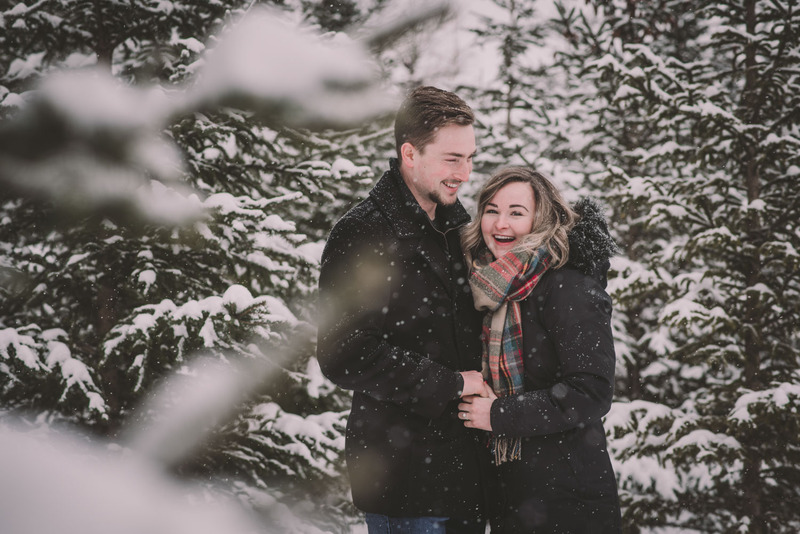 With Ema's bubbly personality, she was able to make us laugh, capturing the candid moments we wanted.